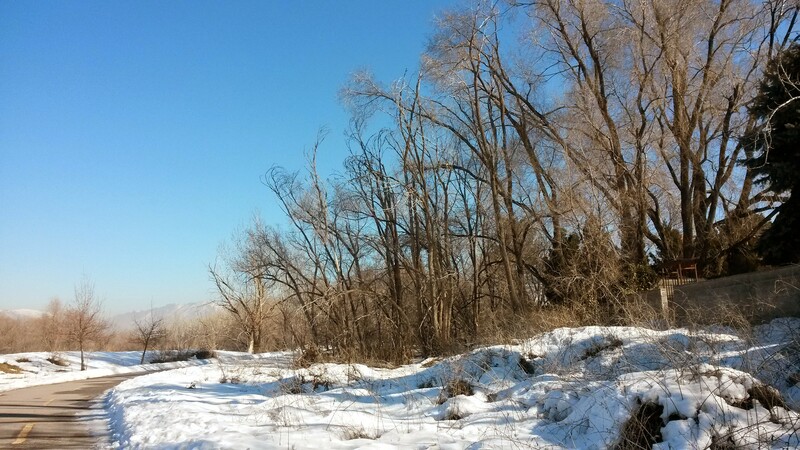 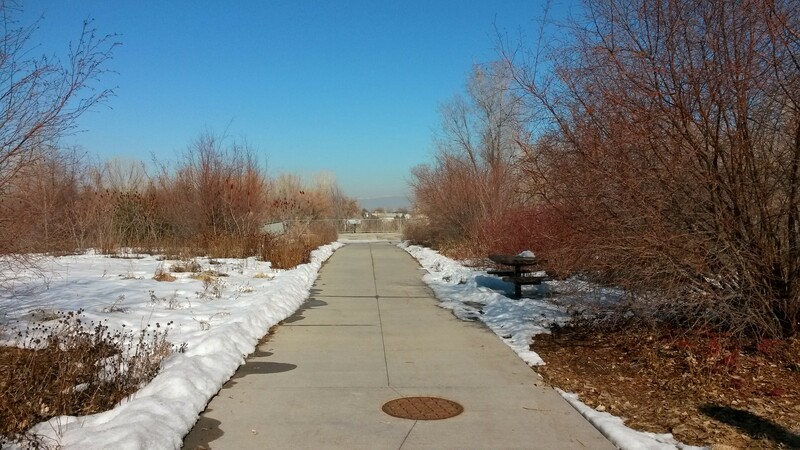 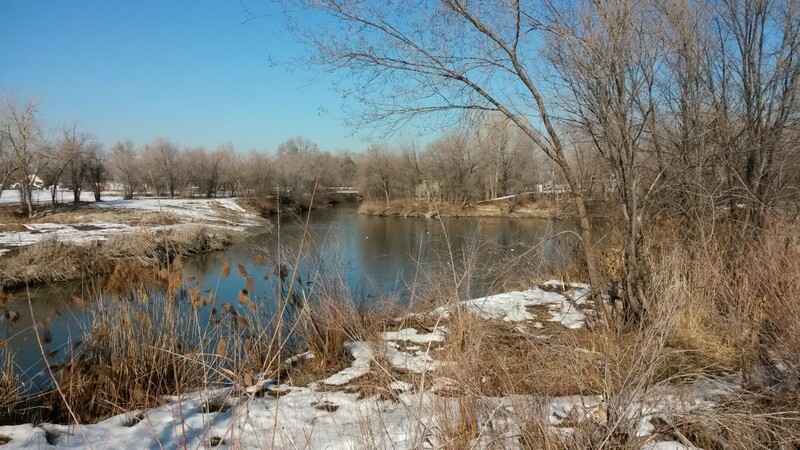 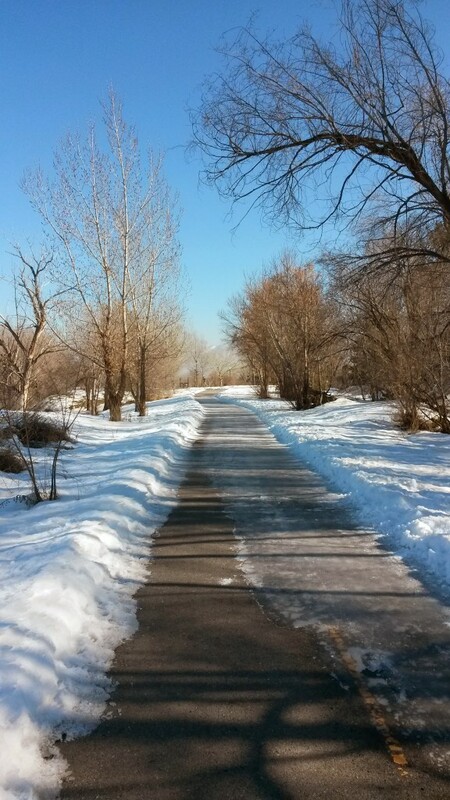 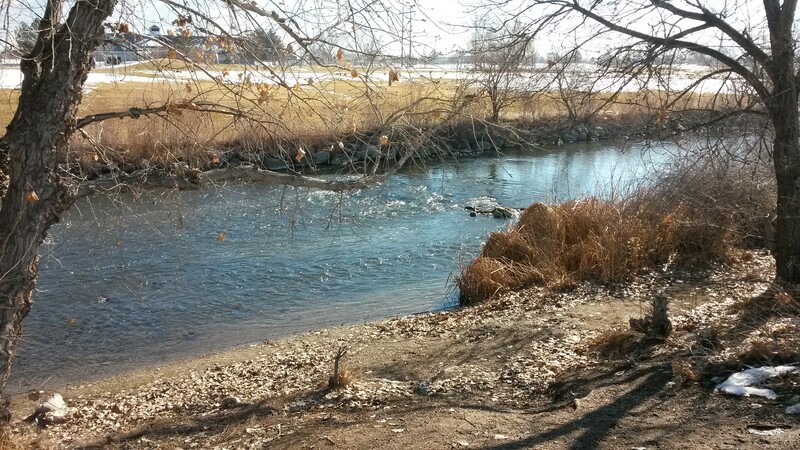 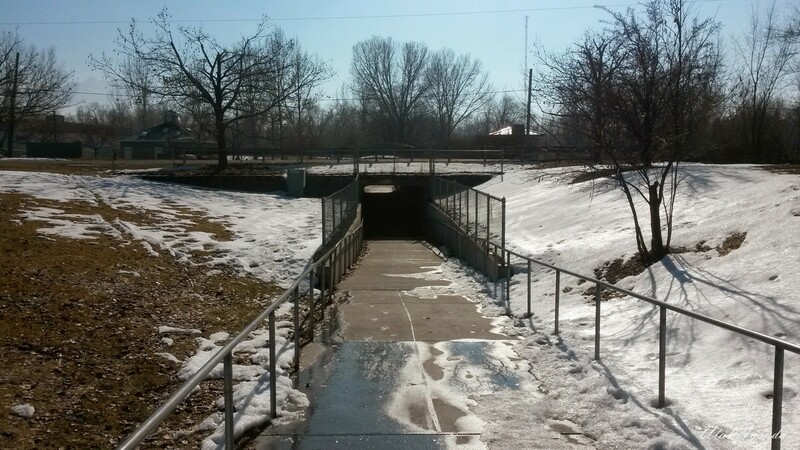 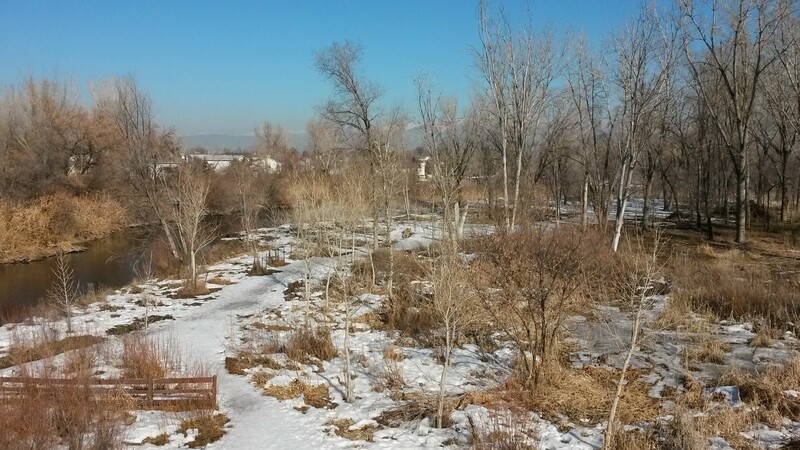 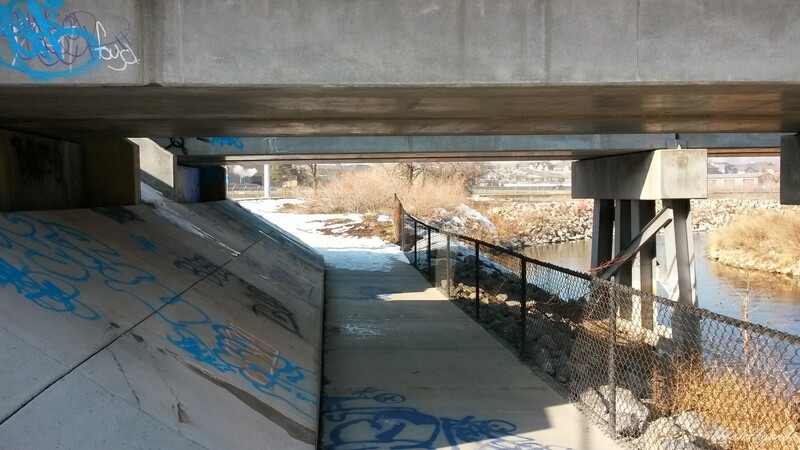 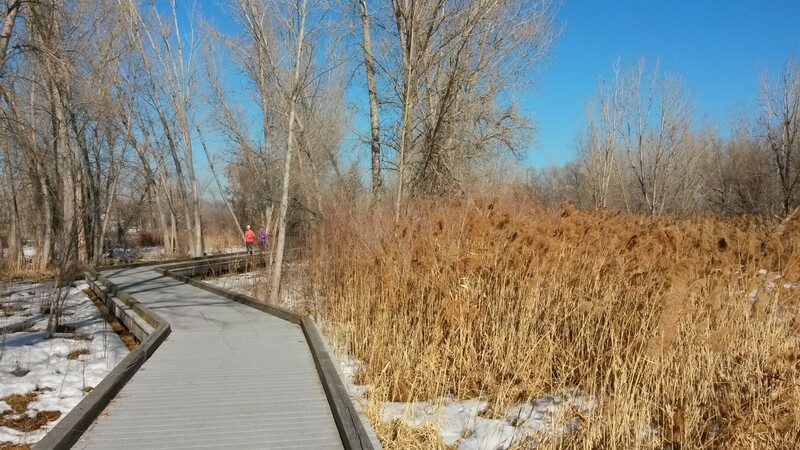 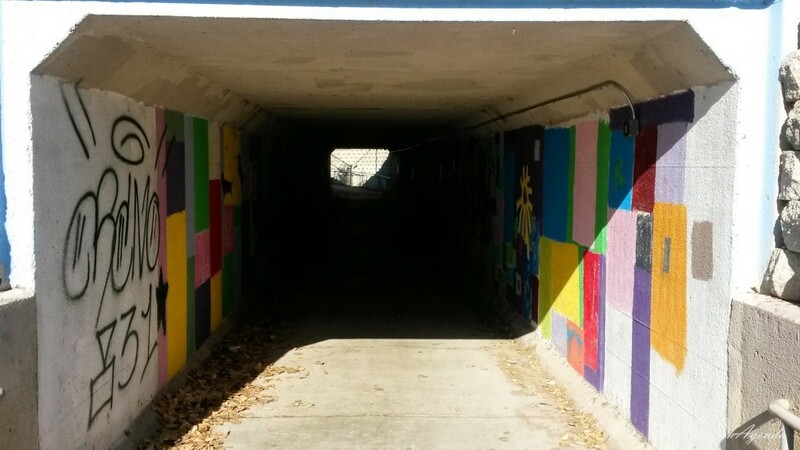 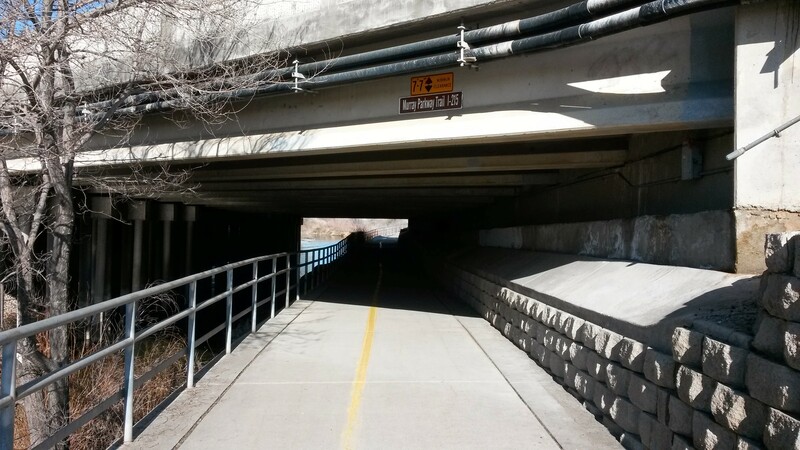 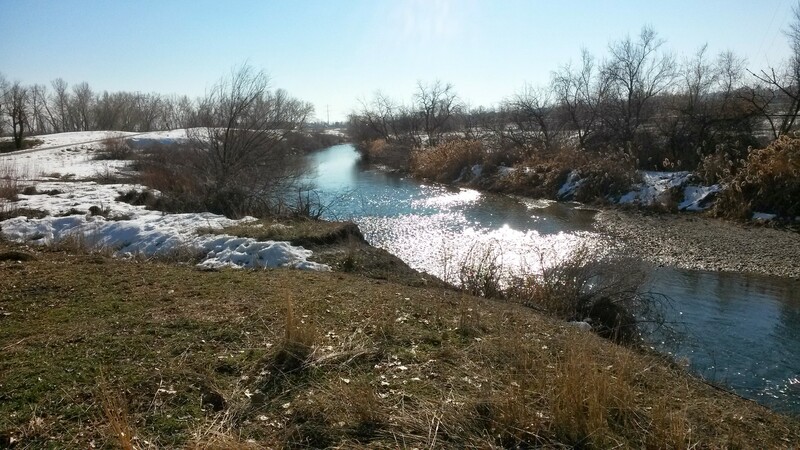 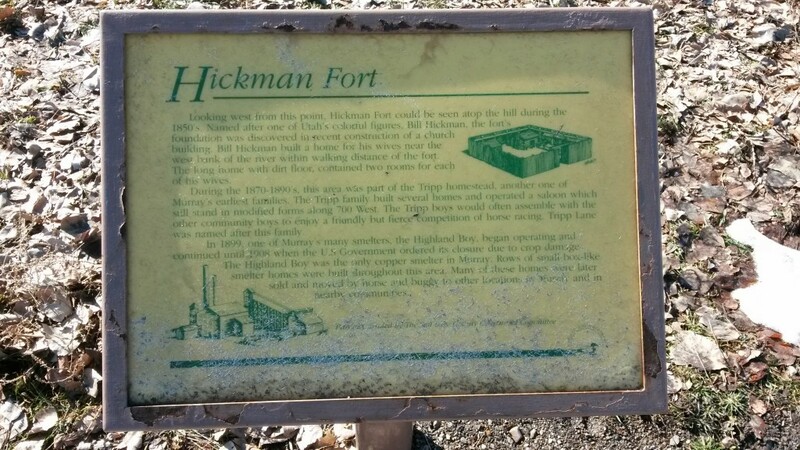 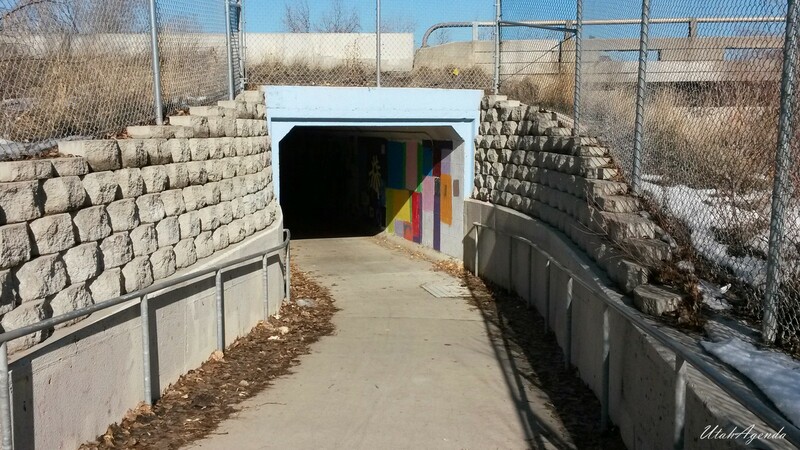 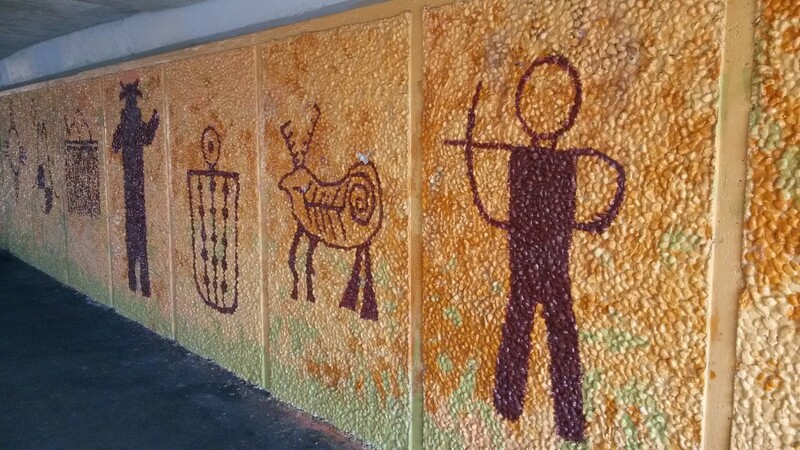 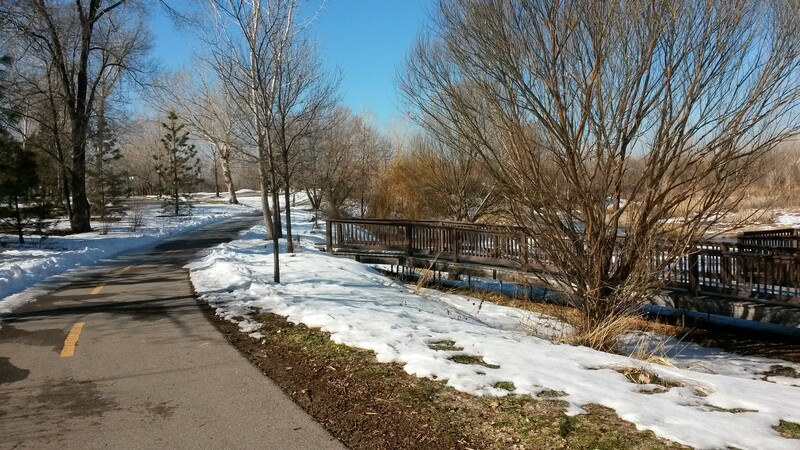 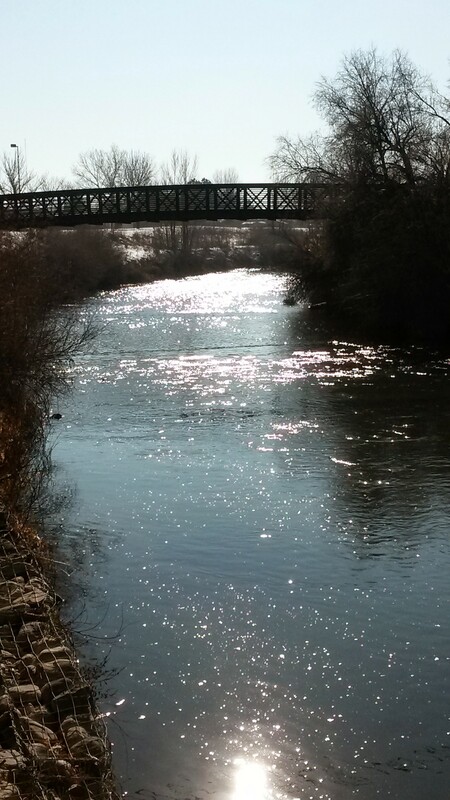 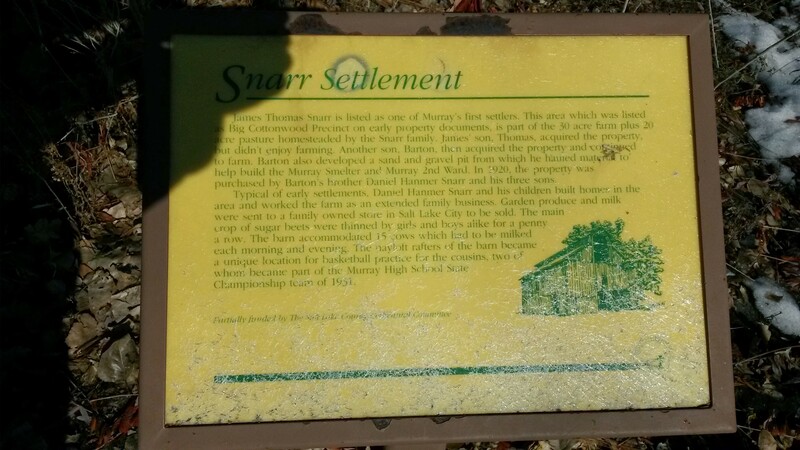 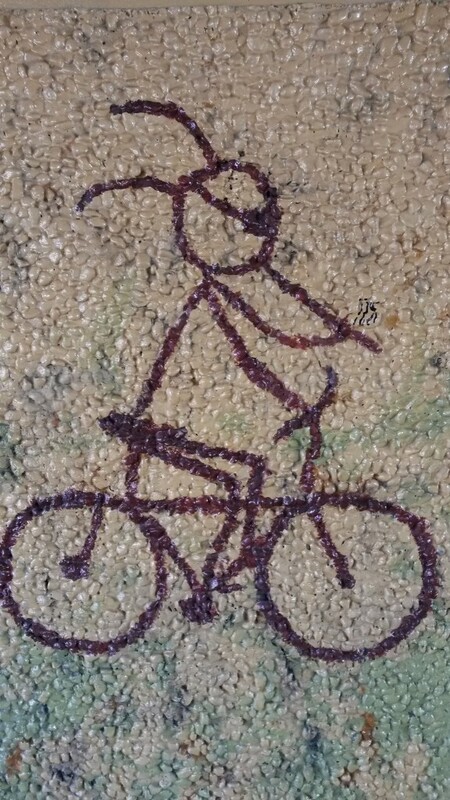 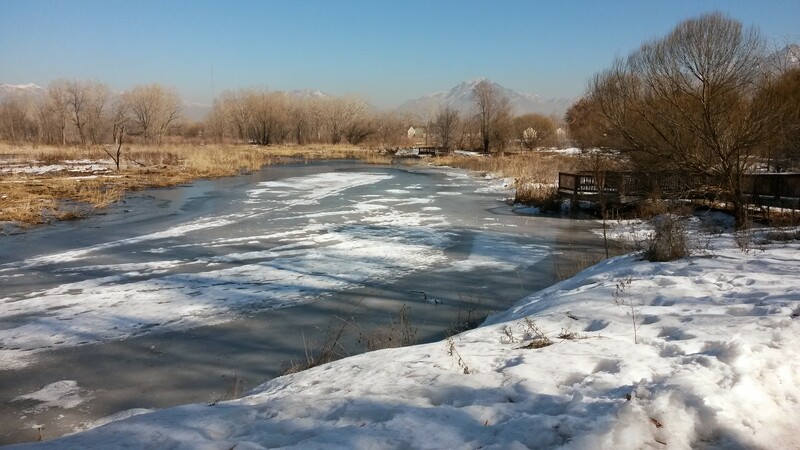 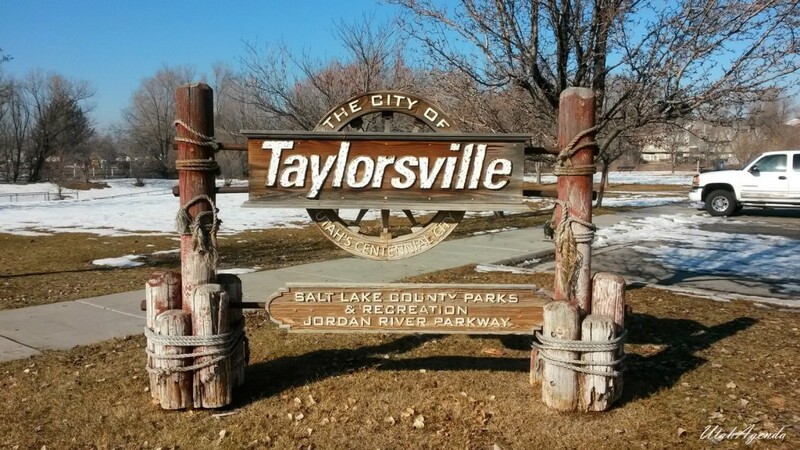 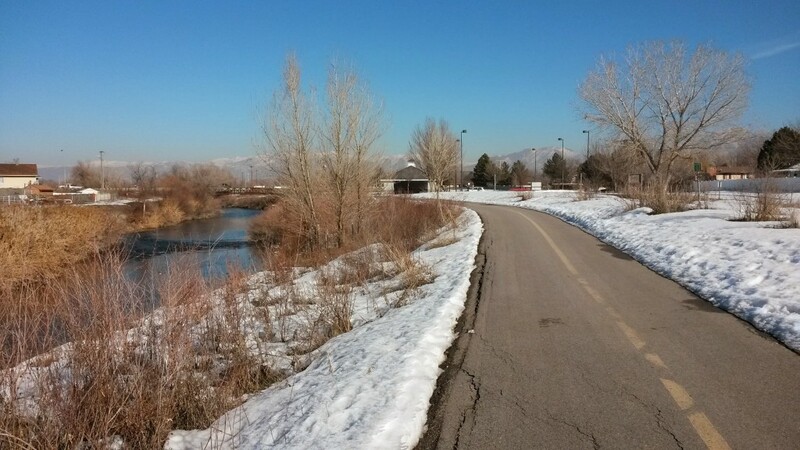 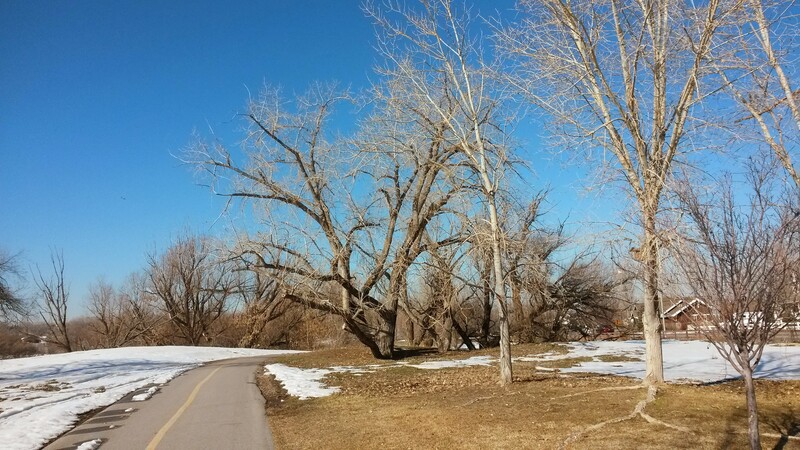 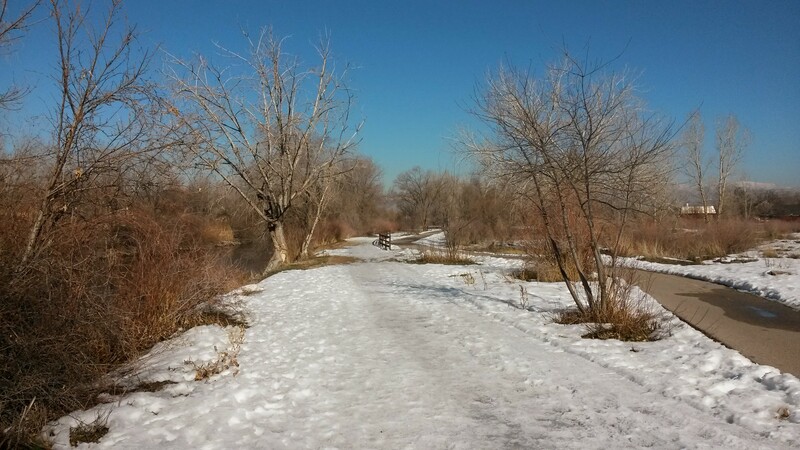 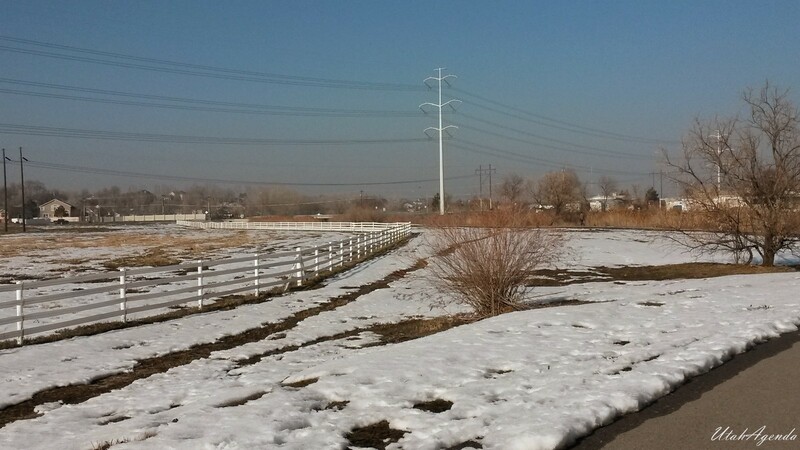 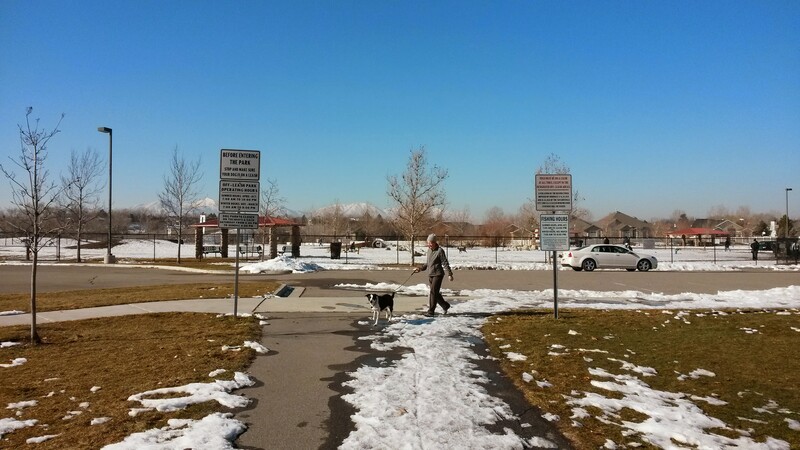 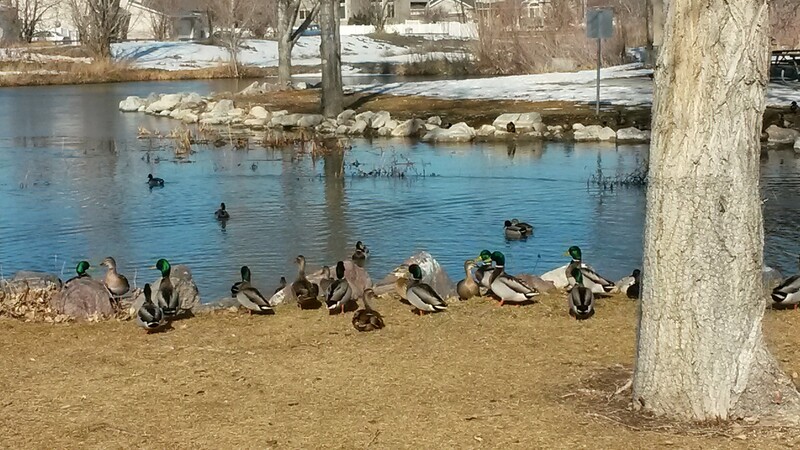 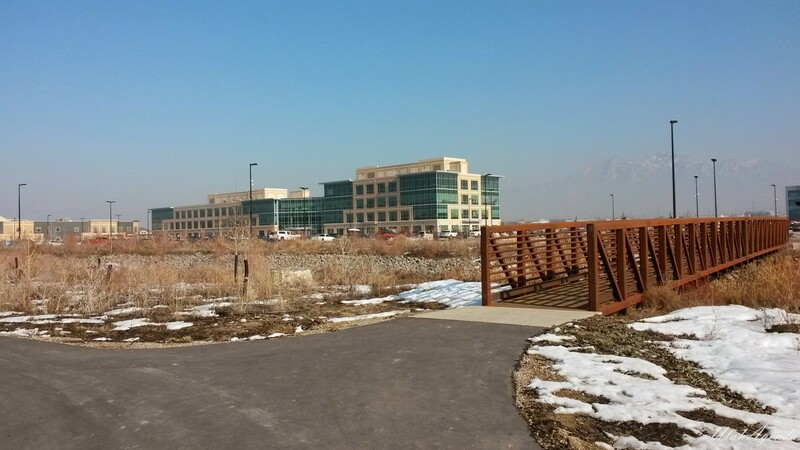 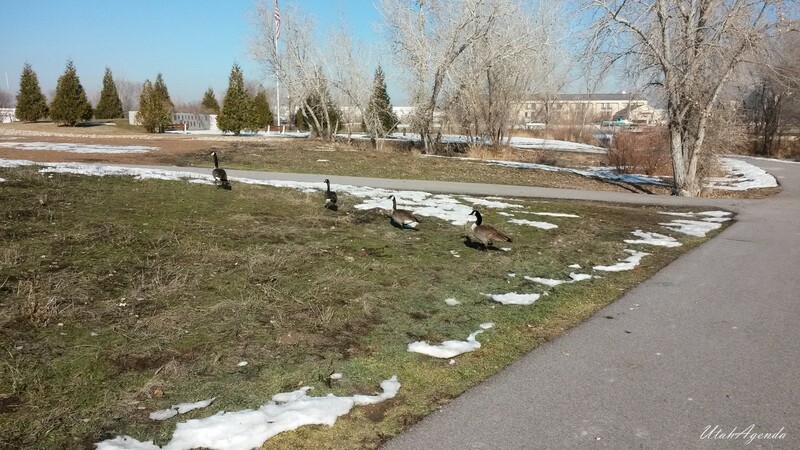 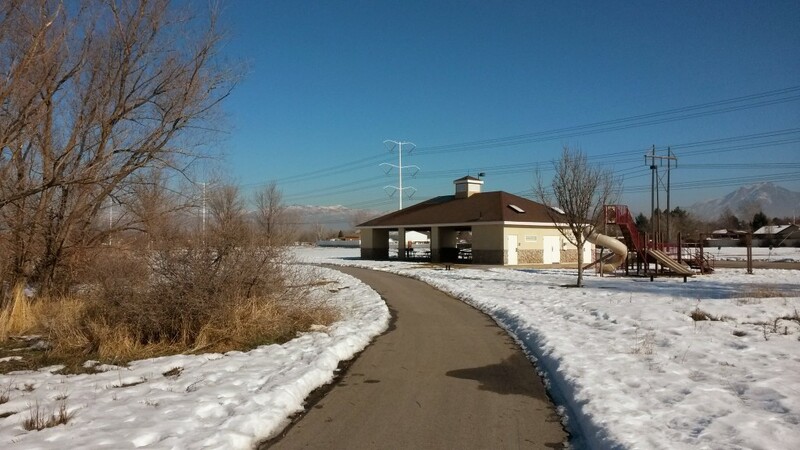 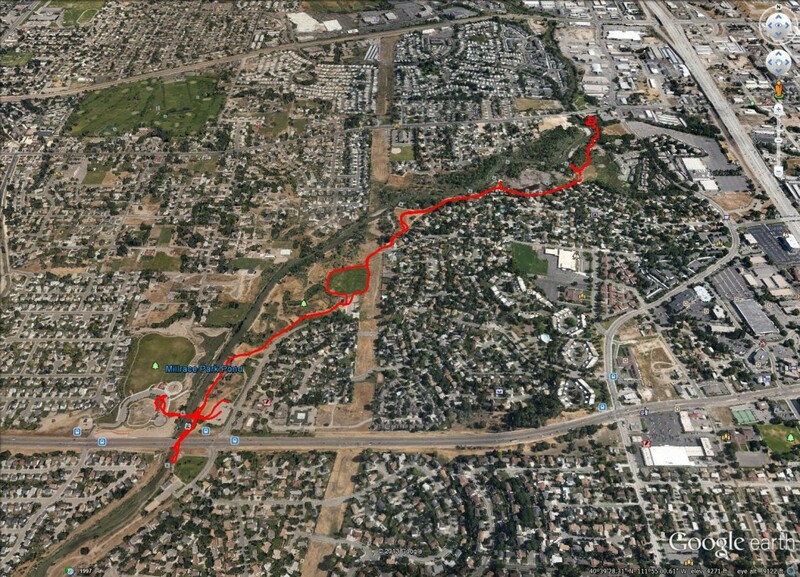 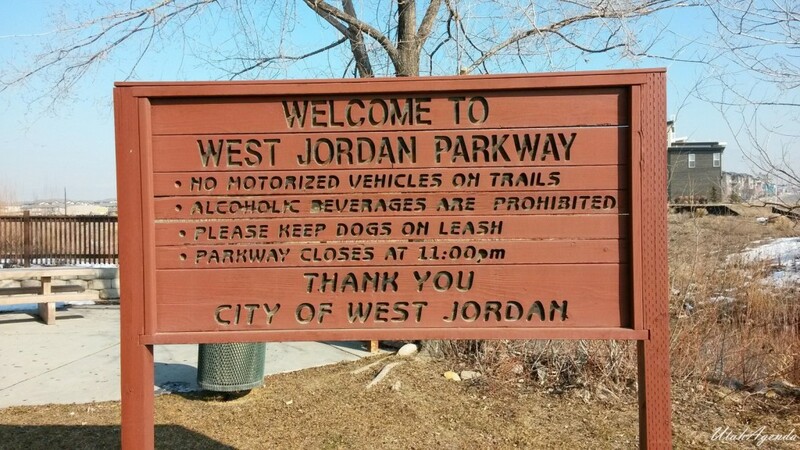 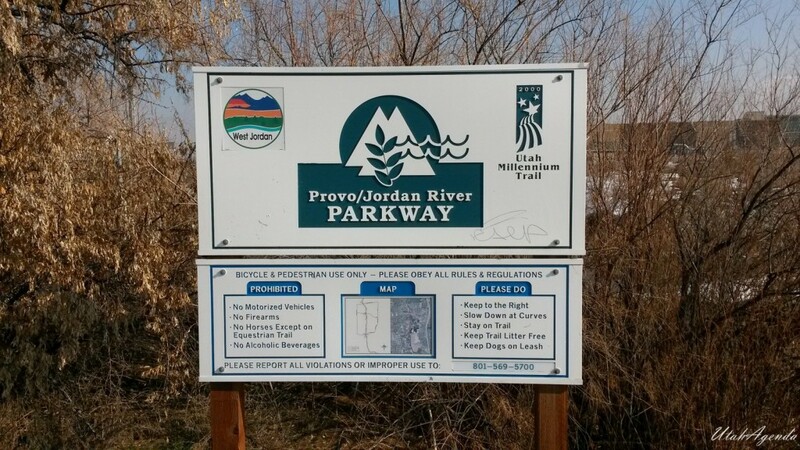 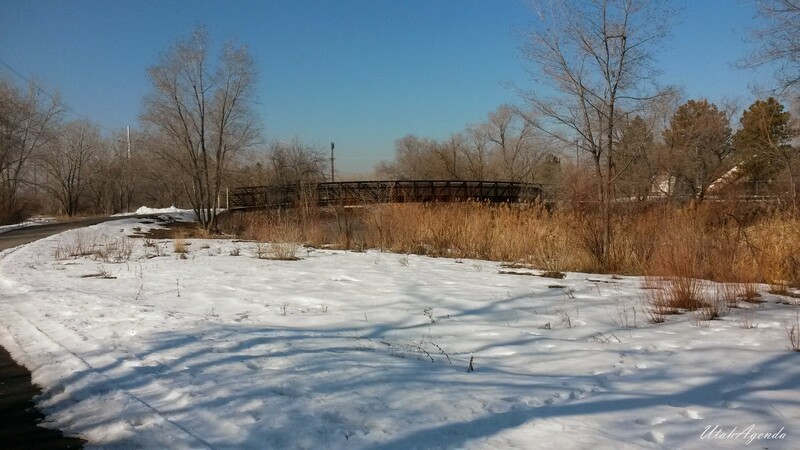 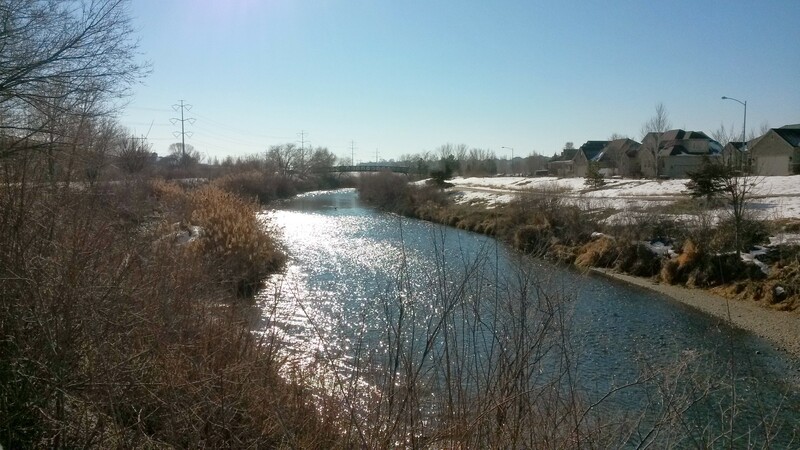 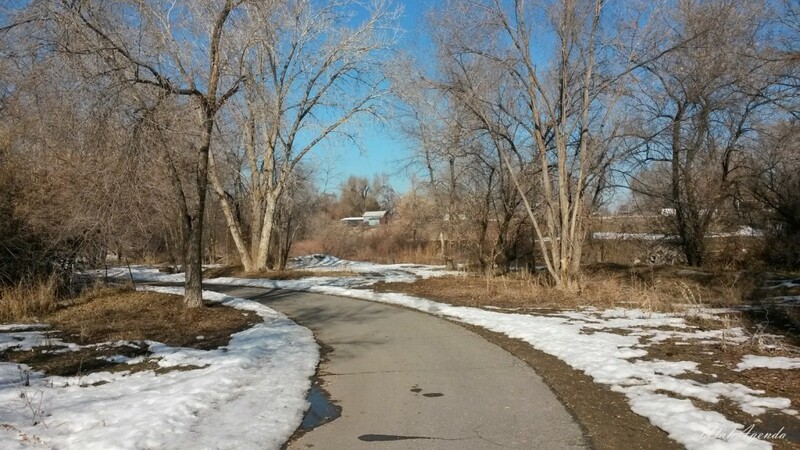 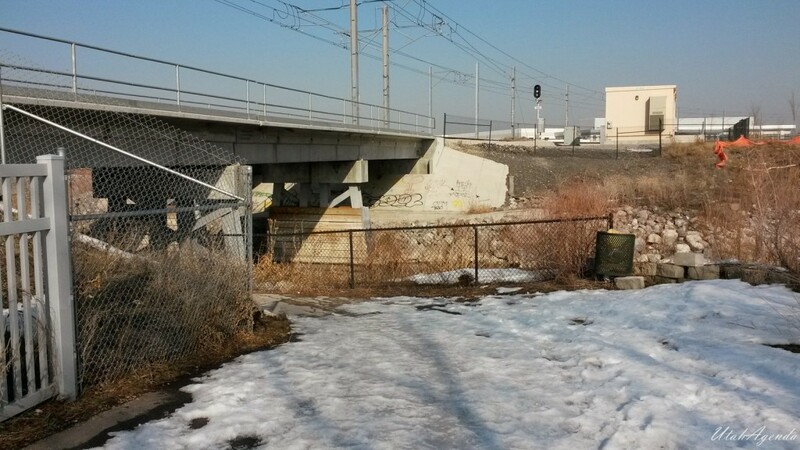 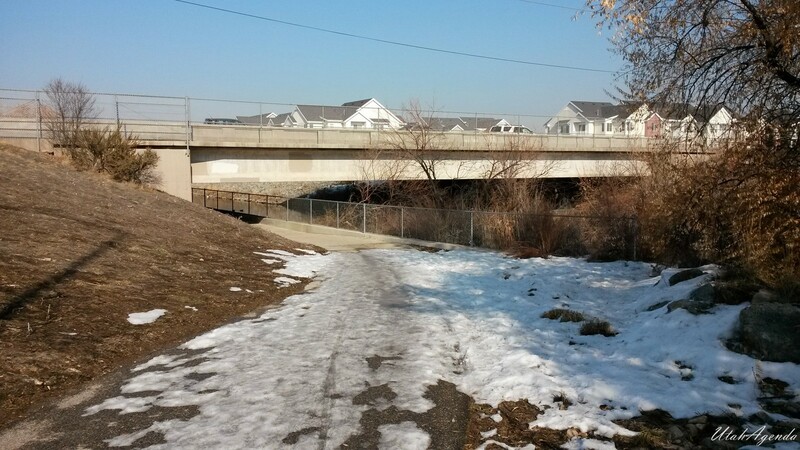 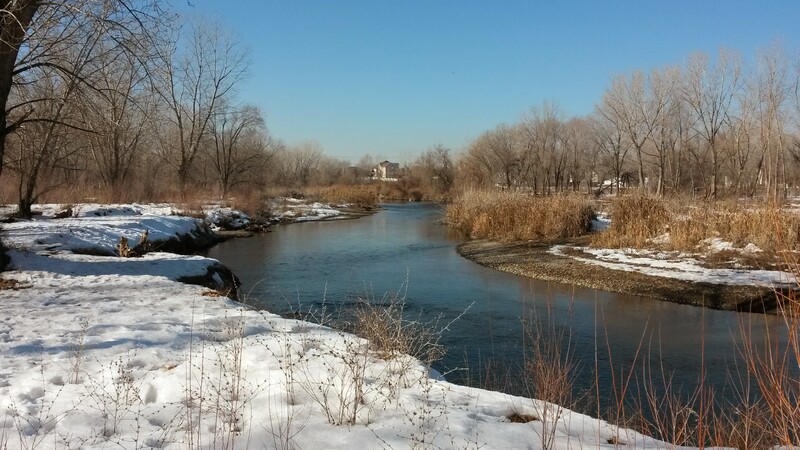 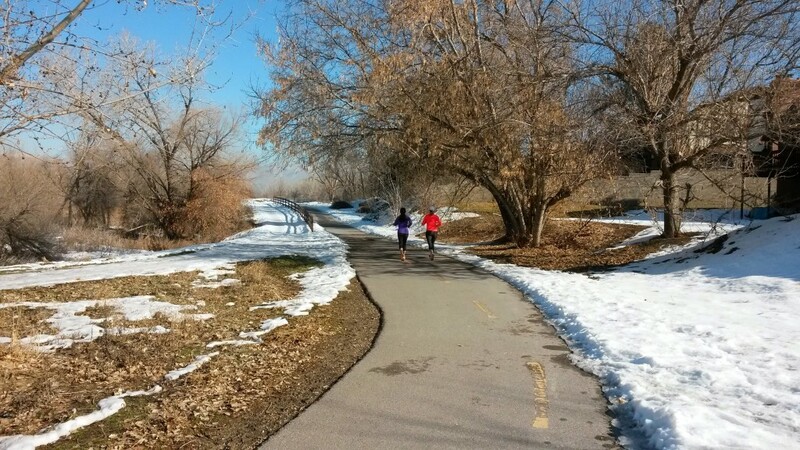 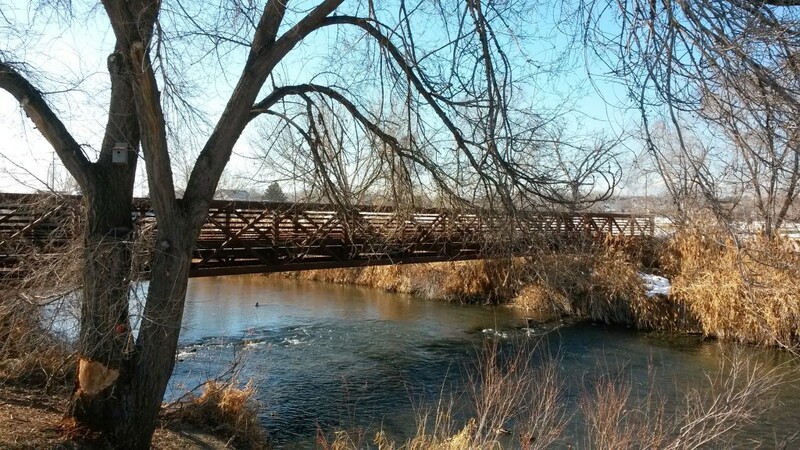 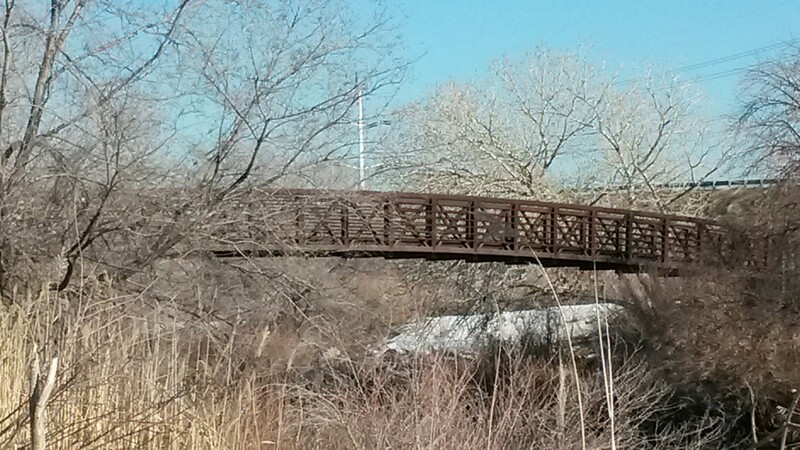 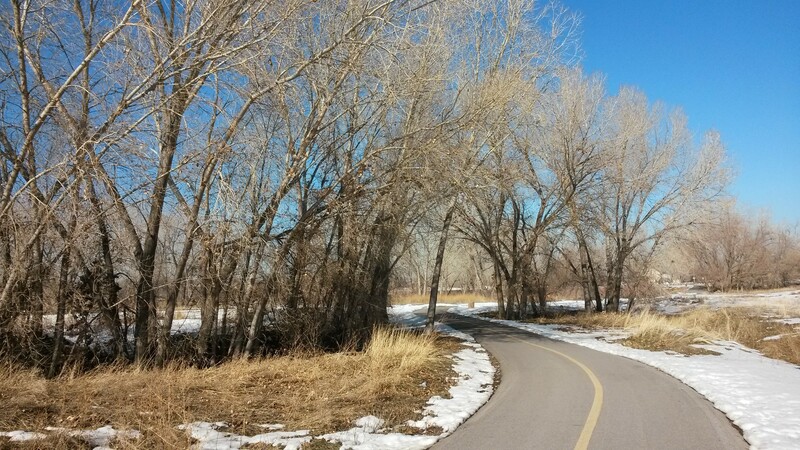 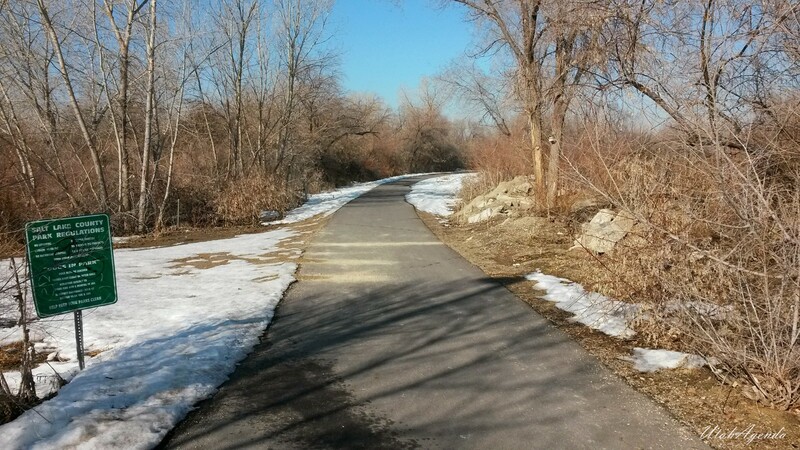 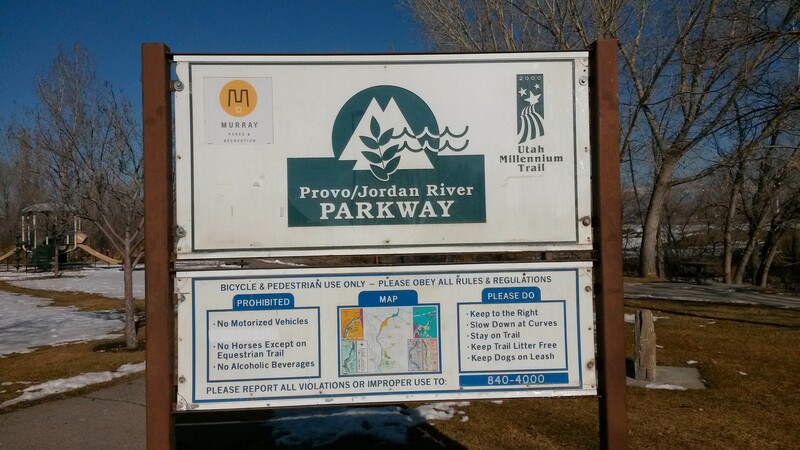 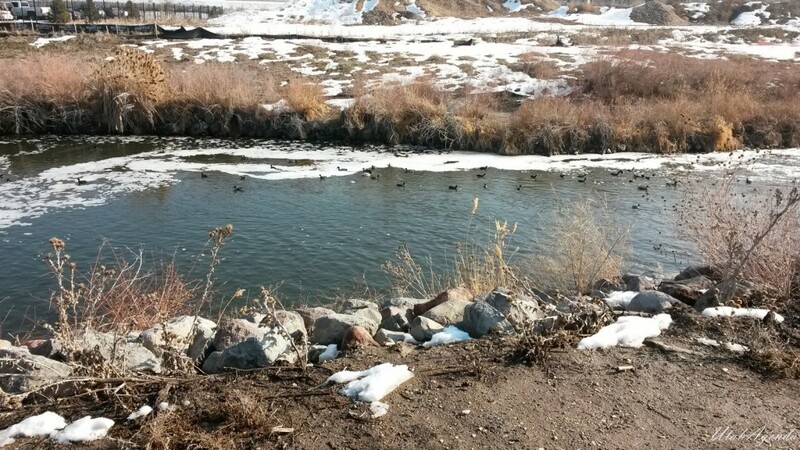 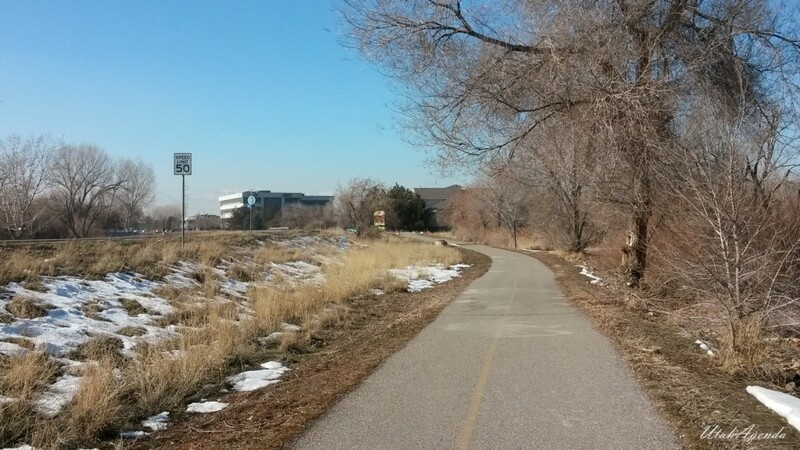 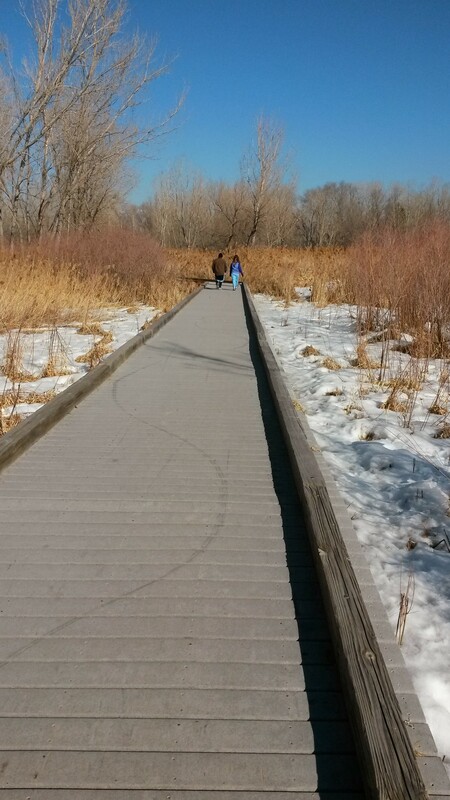 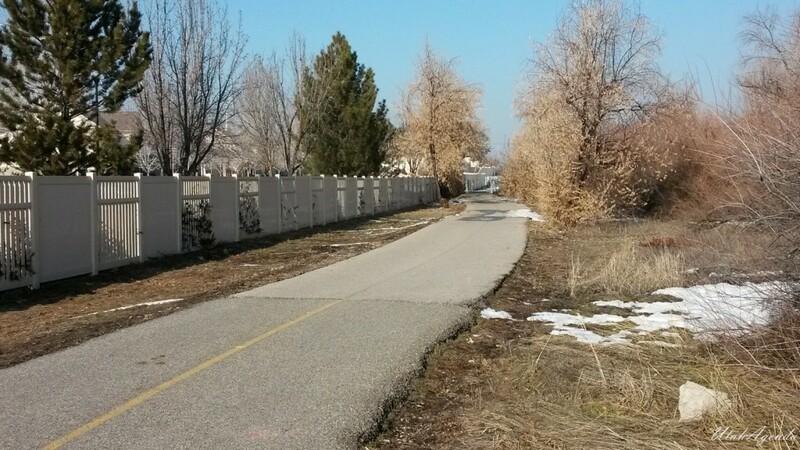 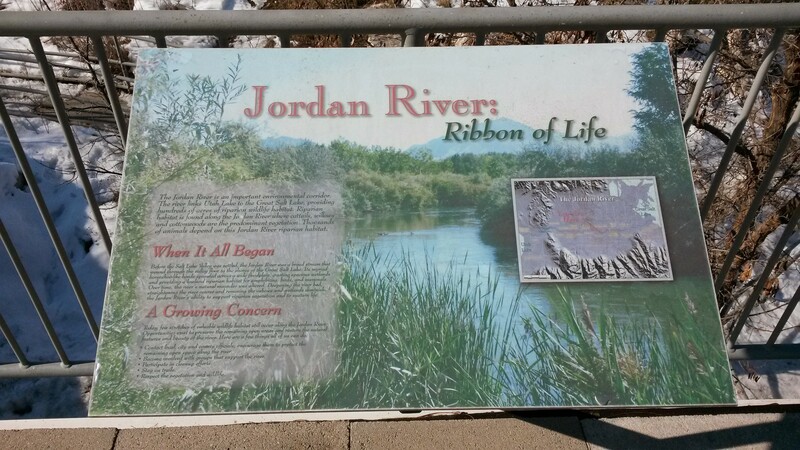 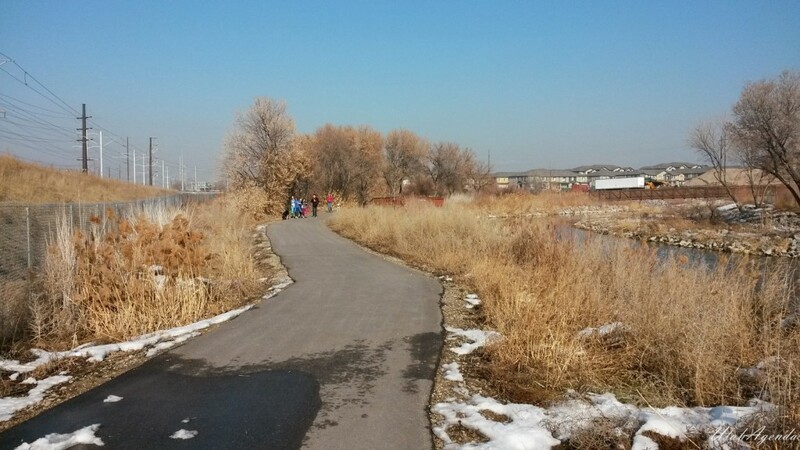 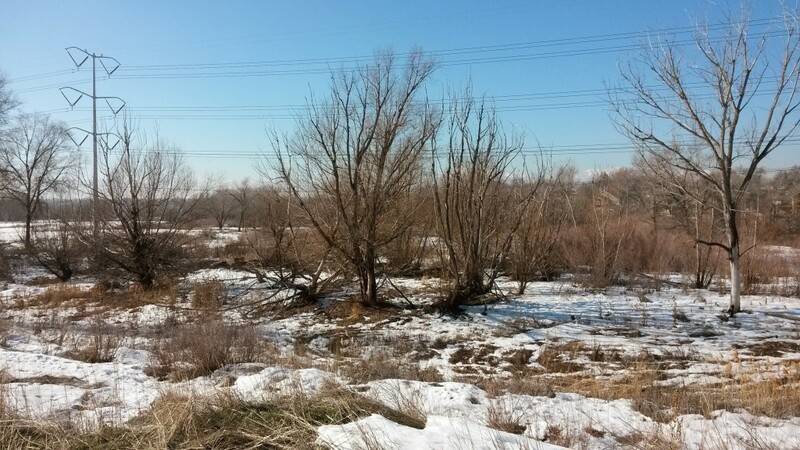 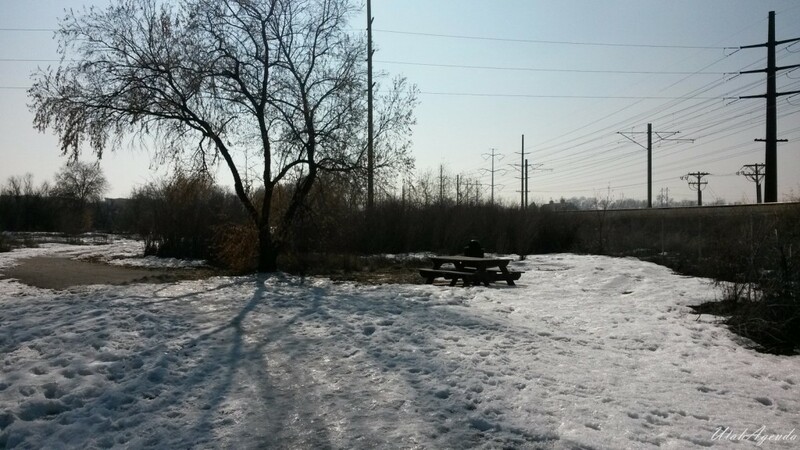 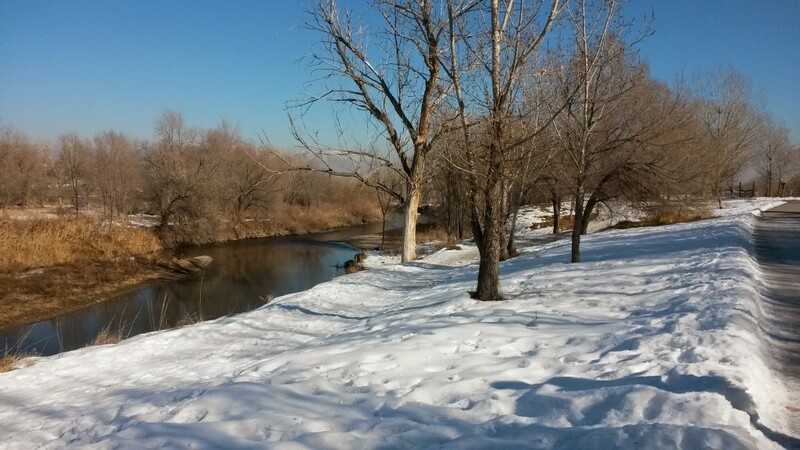 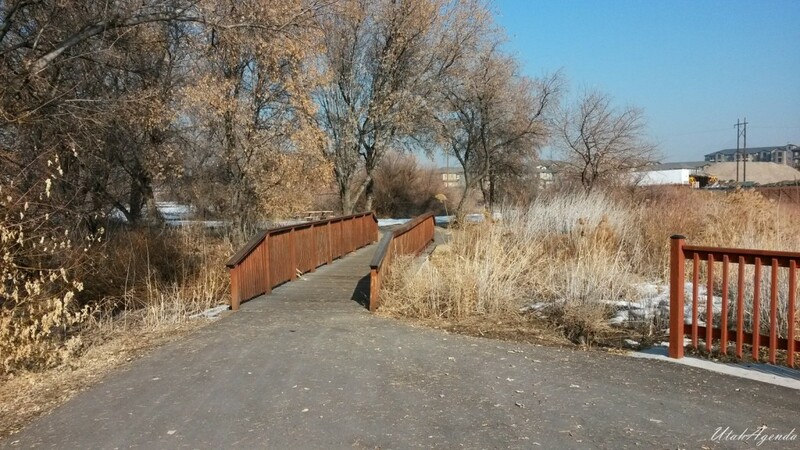 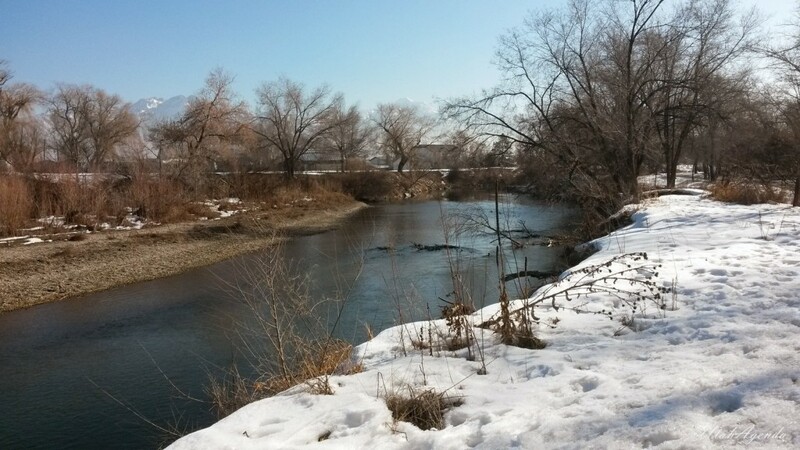 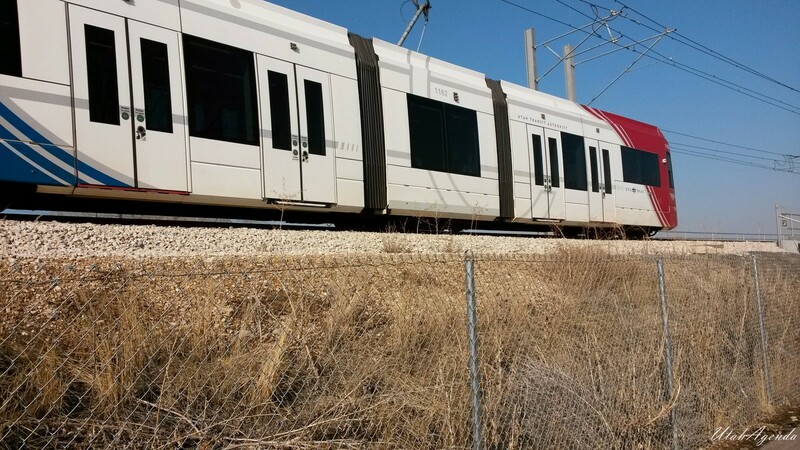 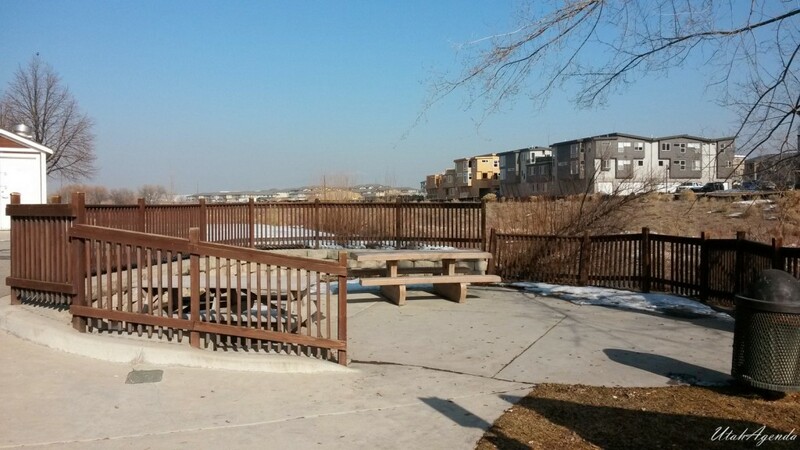 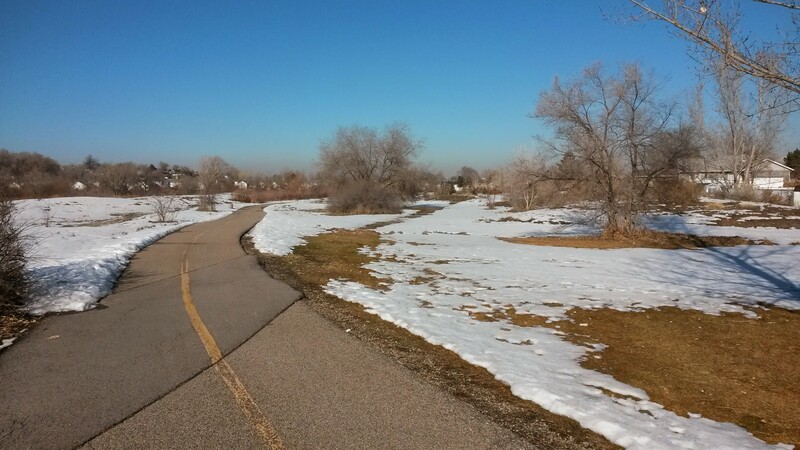 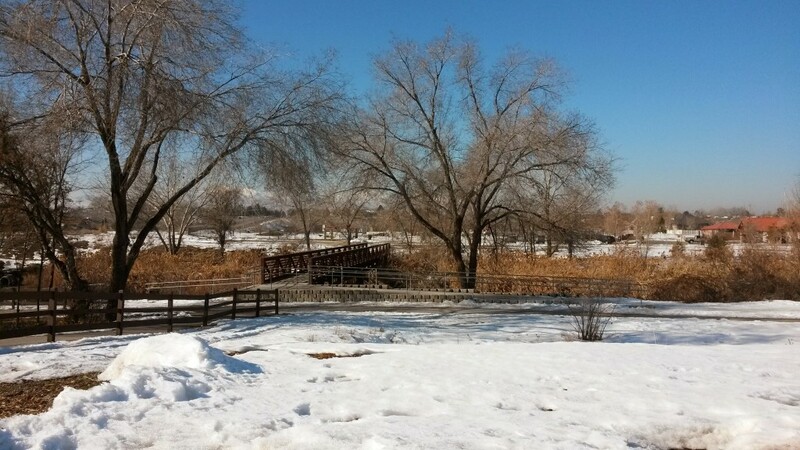 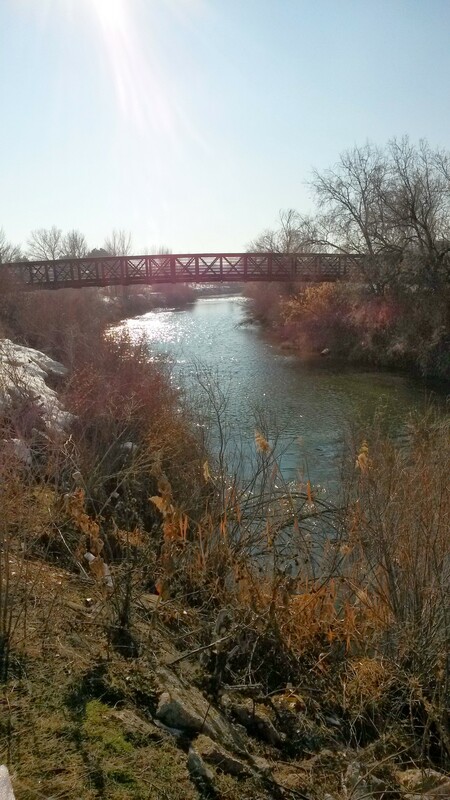 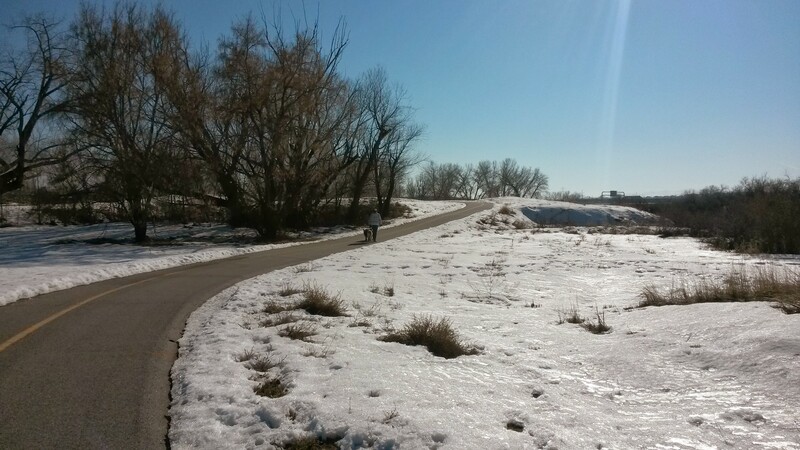 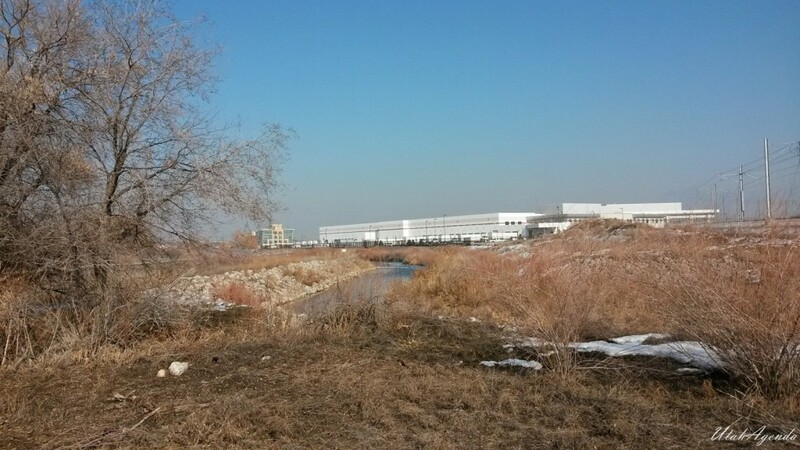 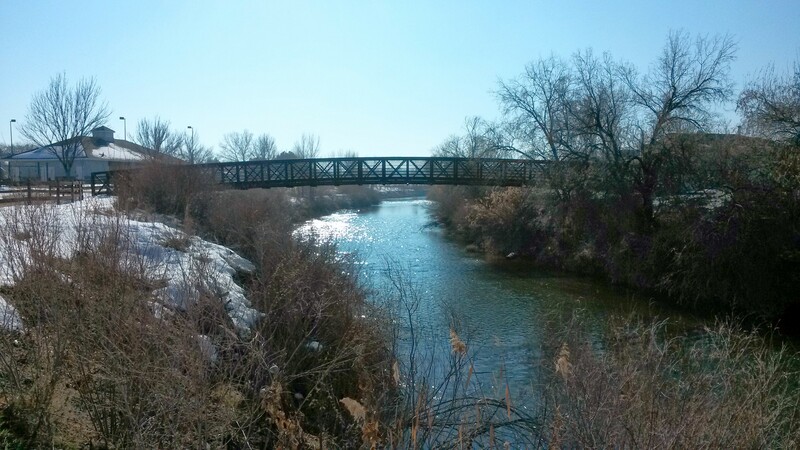 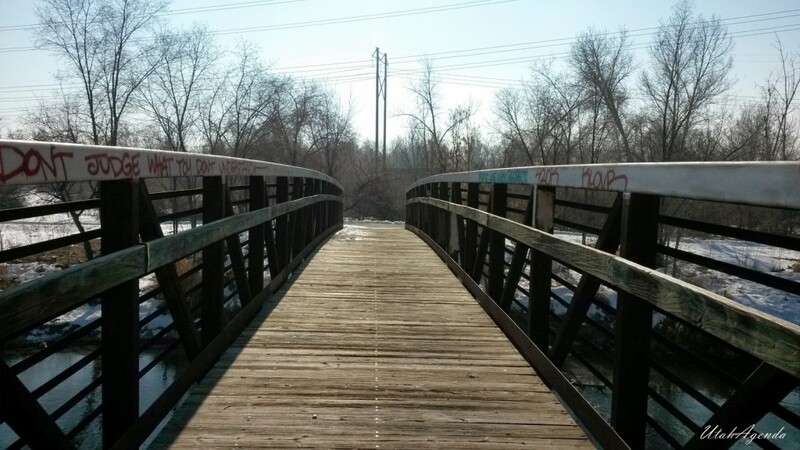 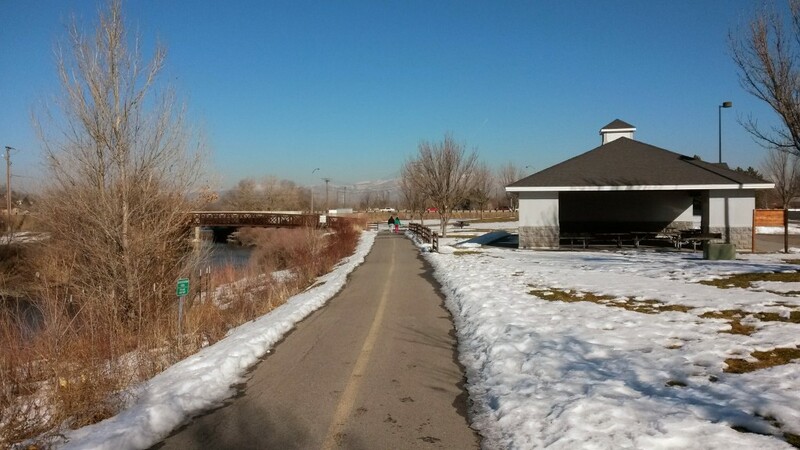 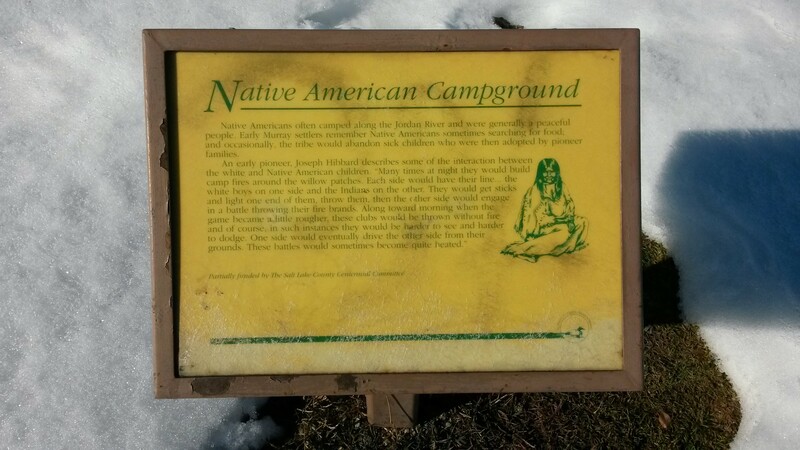 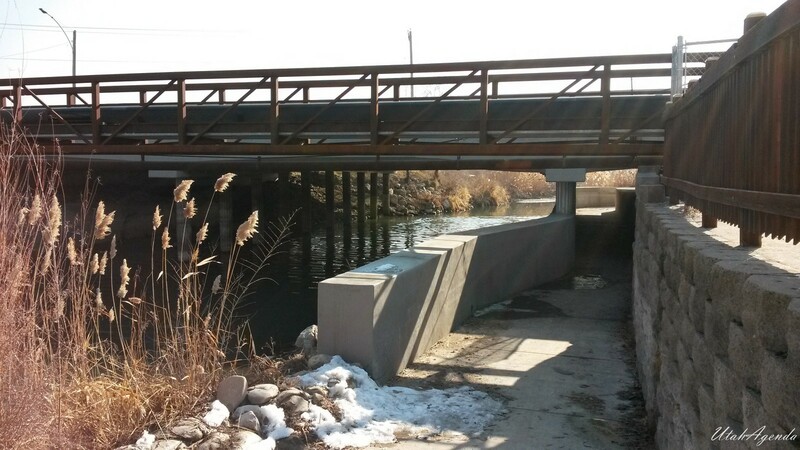 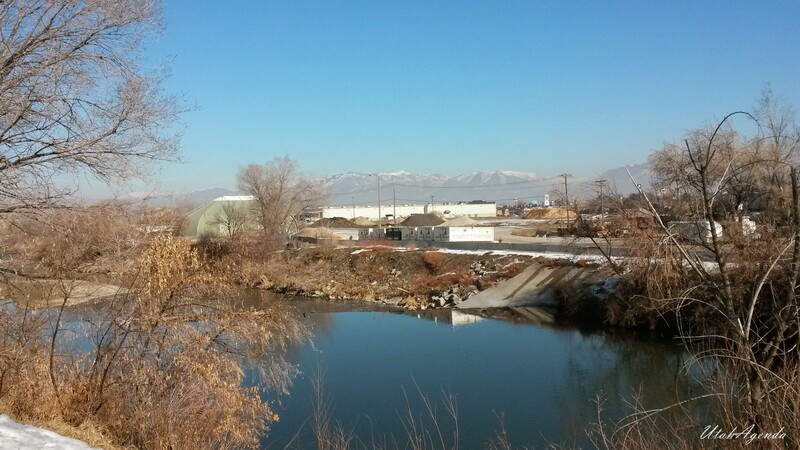 Today I continue my Jordan River Parkway walking tour at 4800 South in Taylorsville, Utah by heading north along the river and walking to my day’s turnaround point at 3900 S in South Salt Lake. 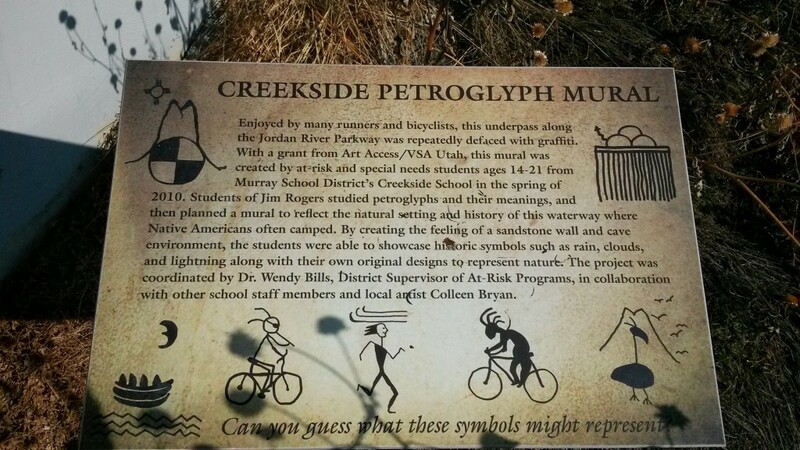 Murray, Utah is south across the street from here. It’s January 19th, the temperature has been maxing out at freezing until this week of sun where it’s been approaching 40 degrees. 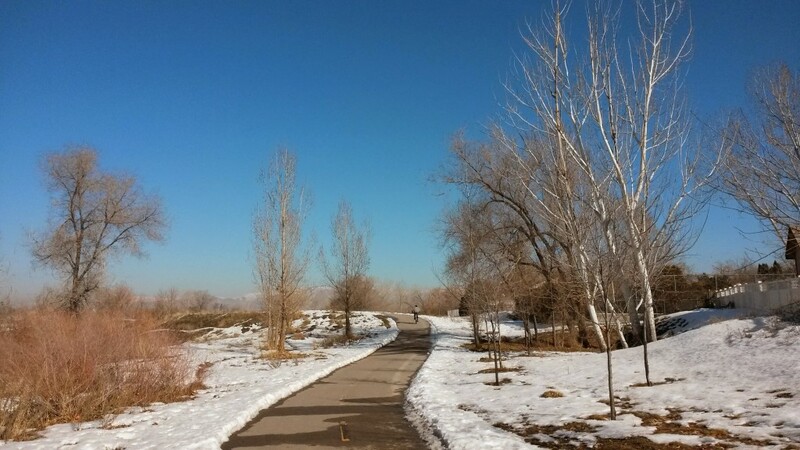 It’s an enjoyable time to walk because there are few people and the air is refreshingly chilled with a relaxing sense of quiet. 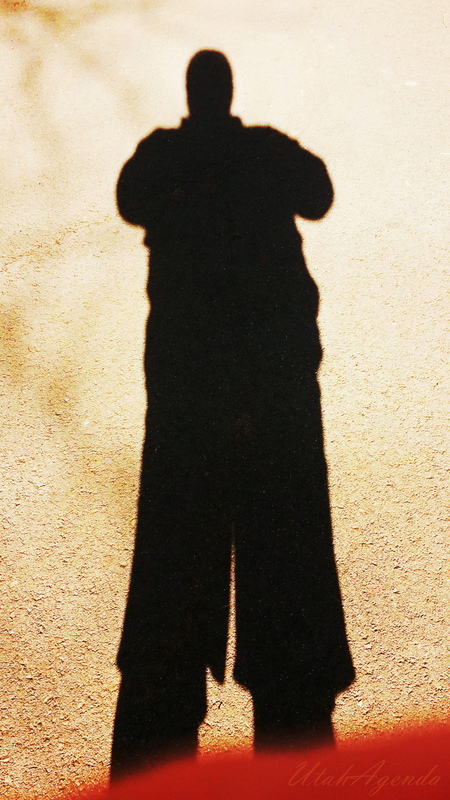 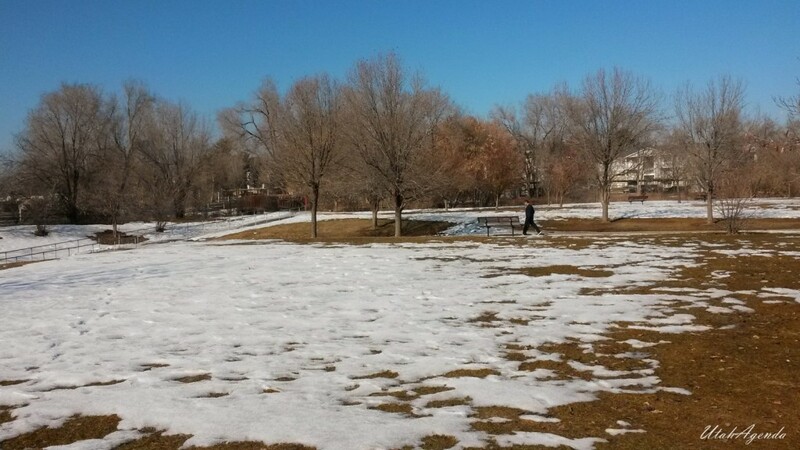 Still snow on the ground. 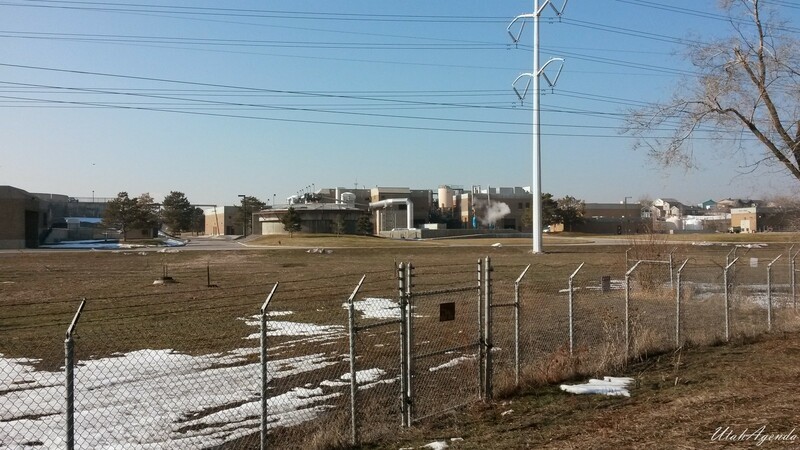 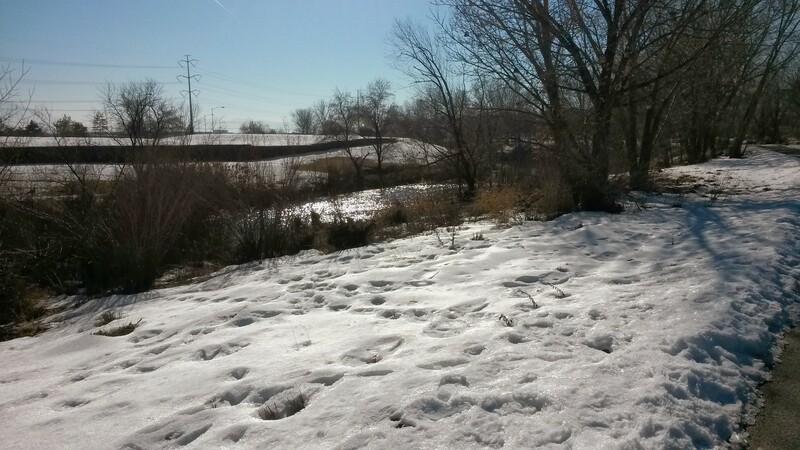 We’ve had snow cover since November this year due to the temperature hovering below freezing for two months. 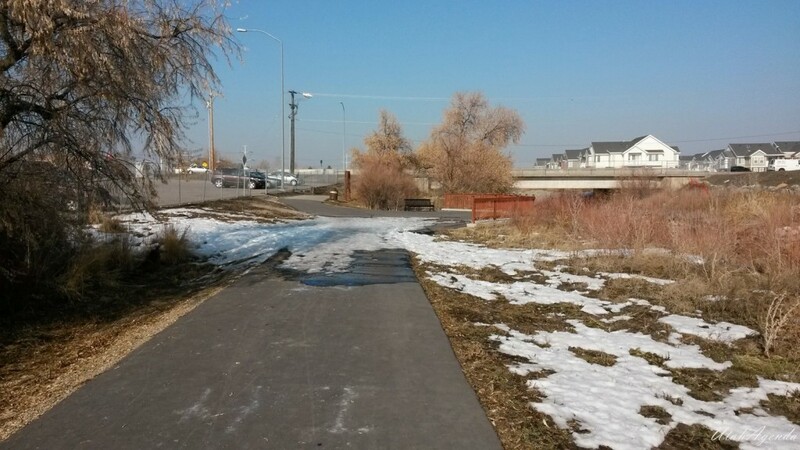 Trail not quite as well maintained as in Murray. 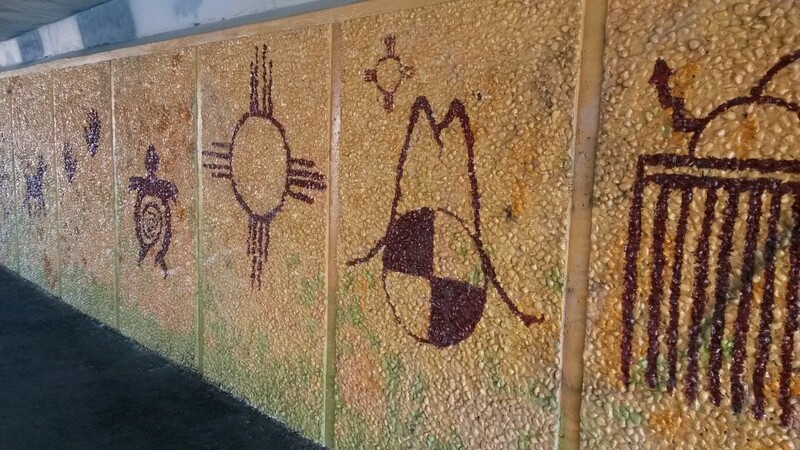 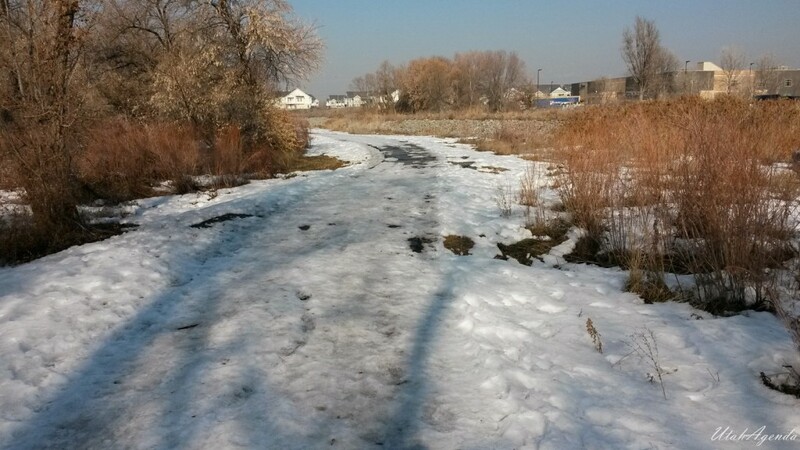 Snow and ice patches were common. 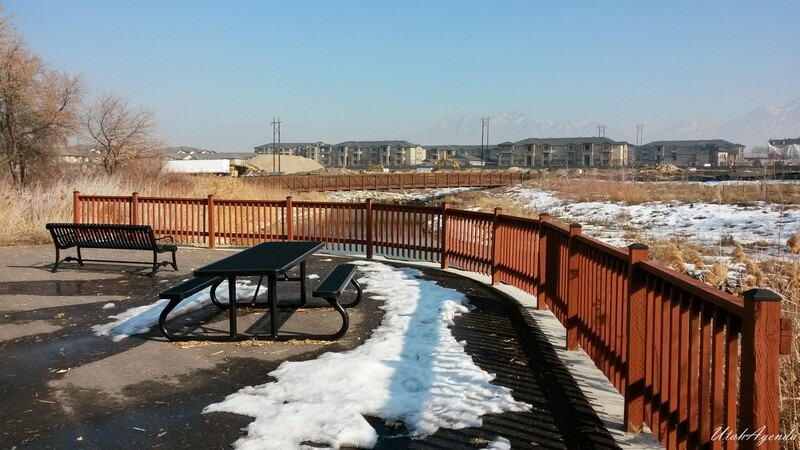 Good view of Jordan River from this section of path as well as a good view of Apartments. 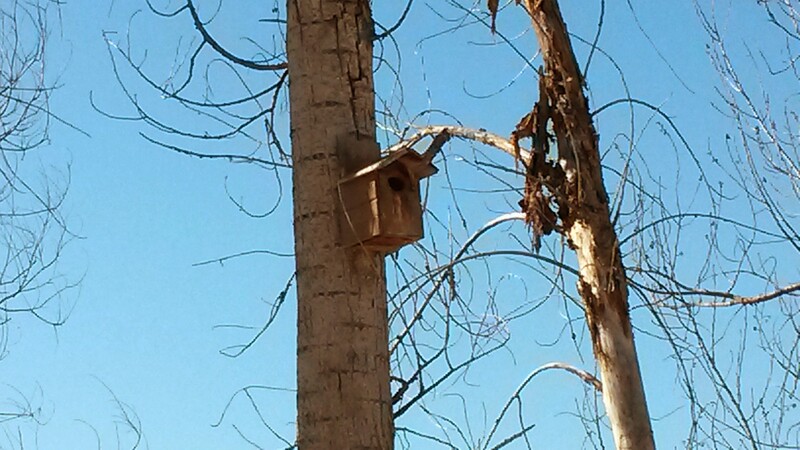 Bird House again, they are all along the trail. 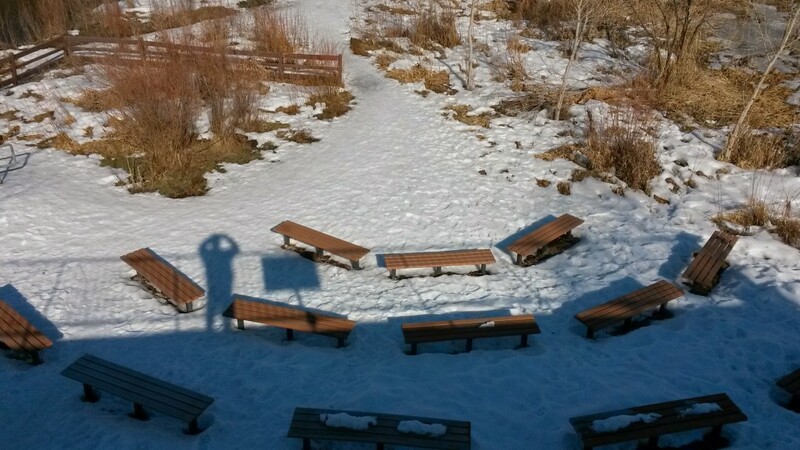 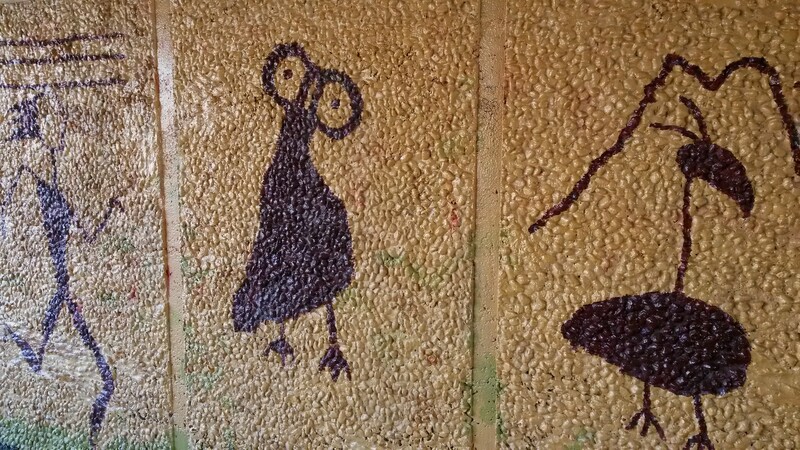 Who’s placing these? 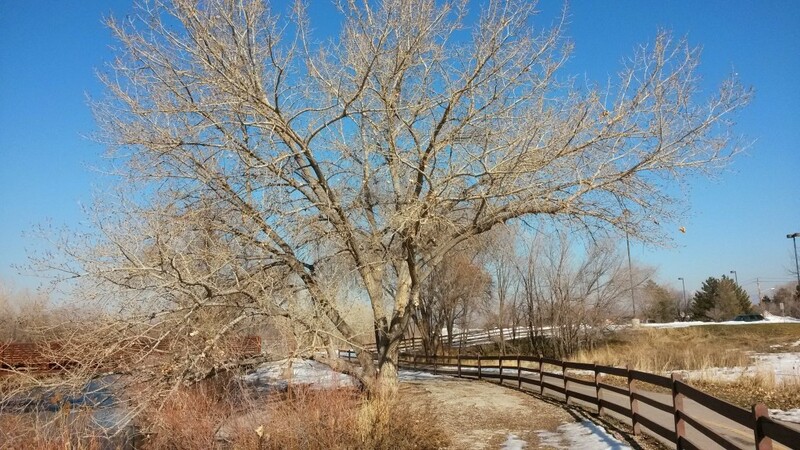 Great winter trees! 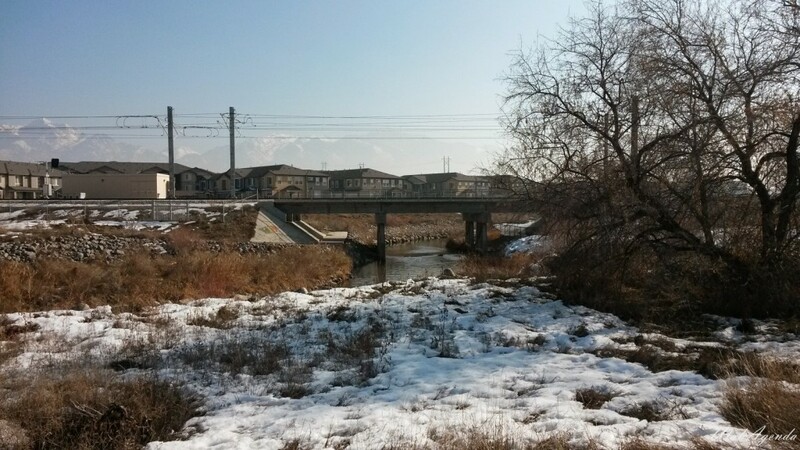 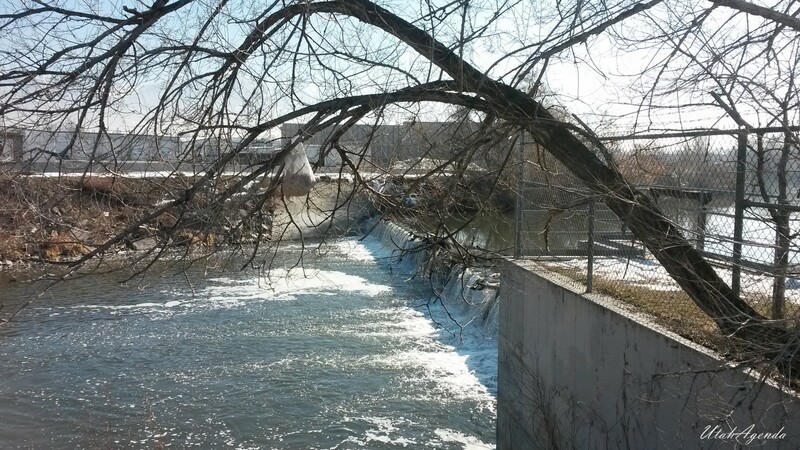 Dam here to divert water into a canal that runs all the way to the Great Salt Lake. 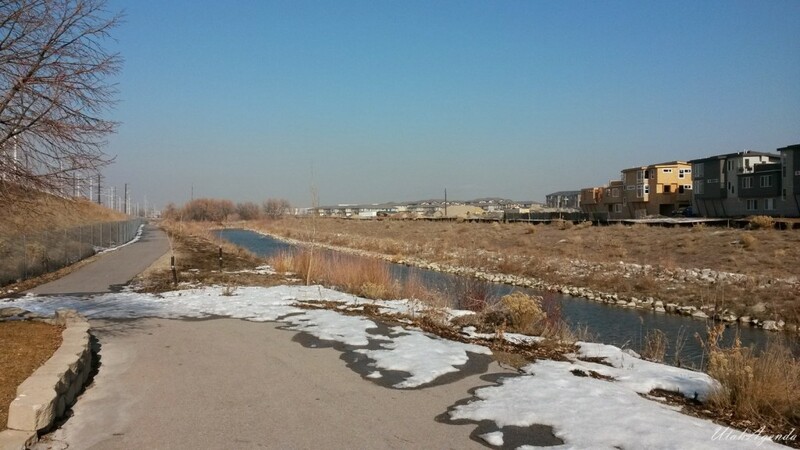 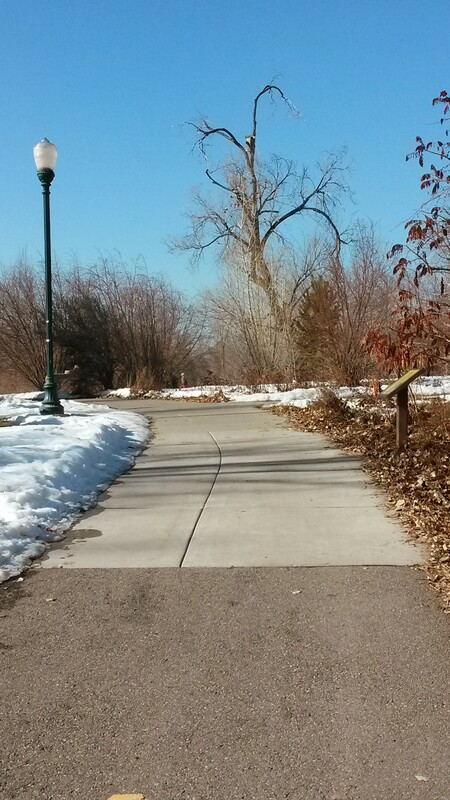 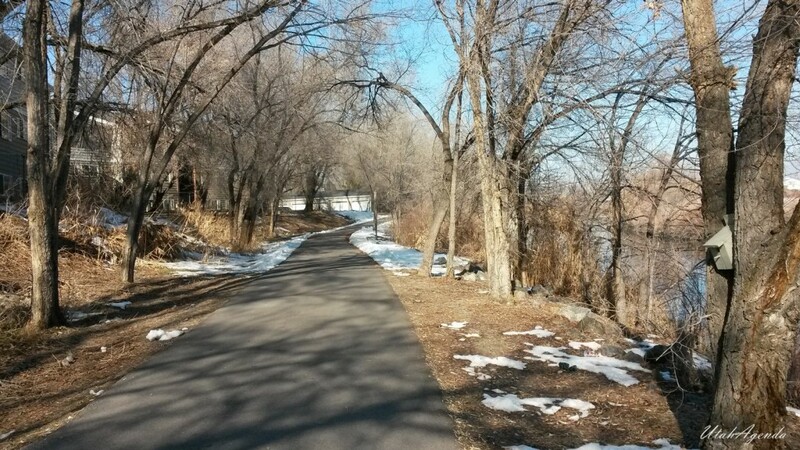 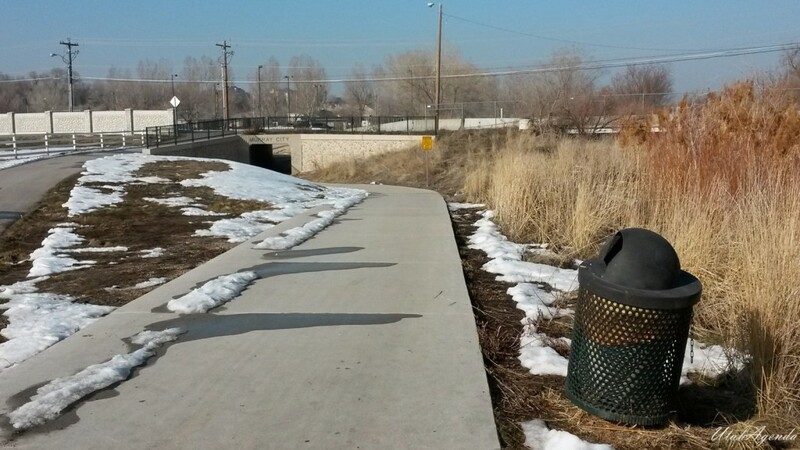 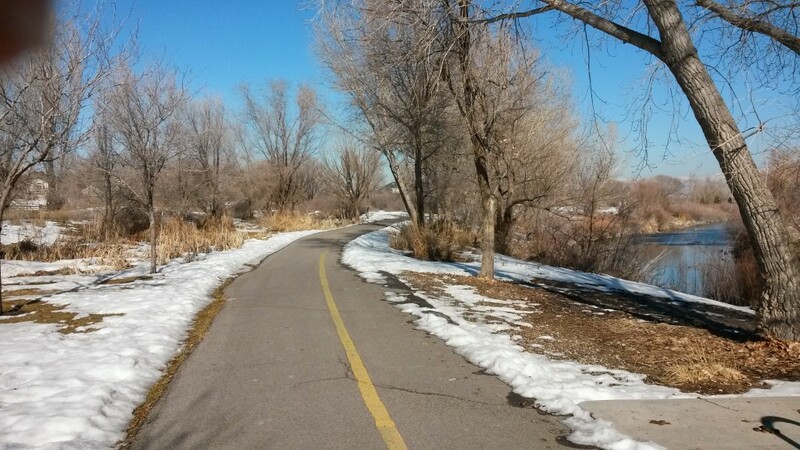 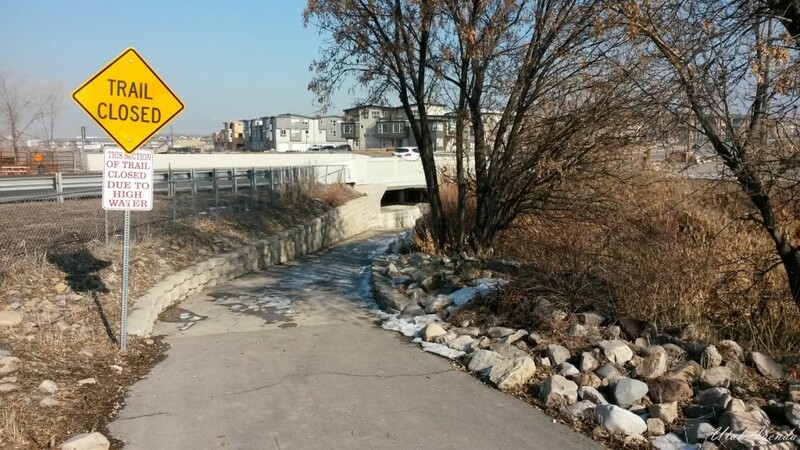 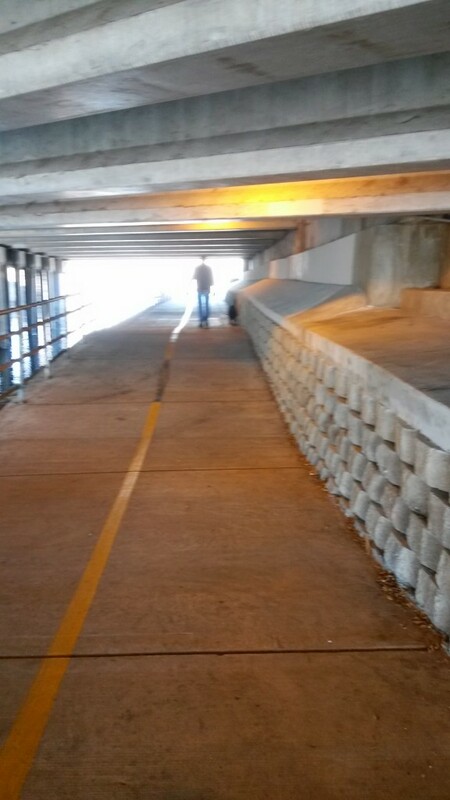 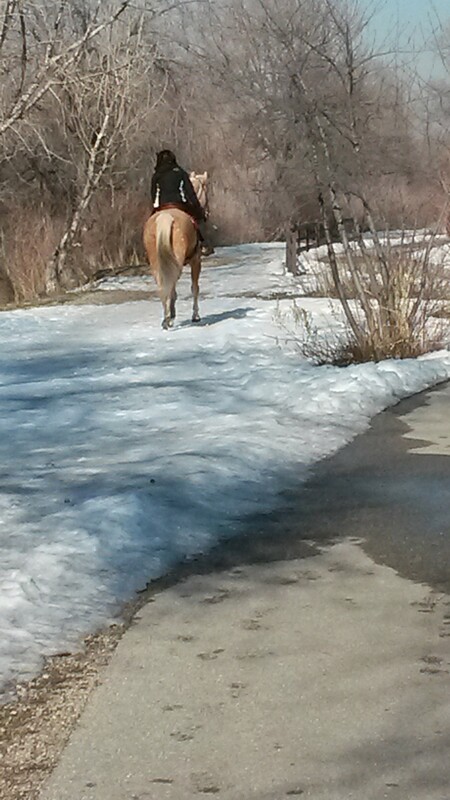 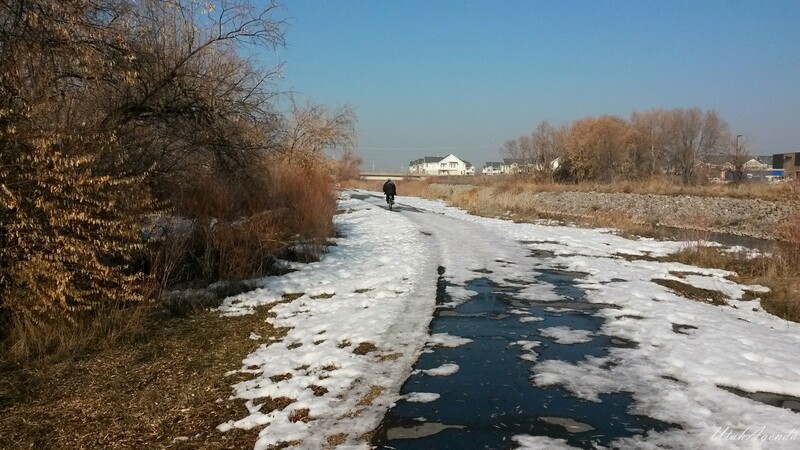 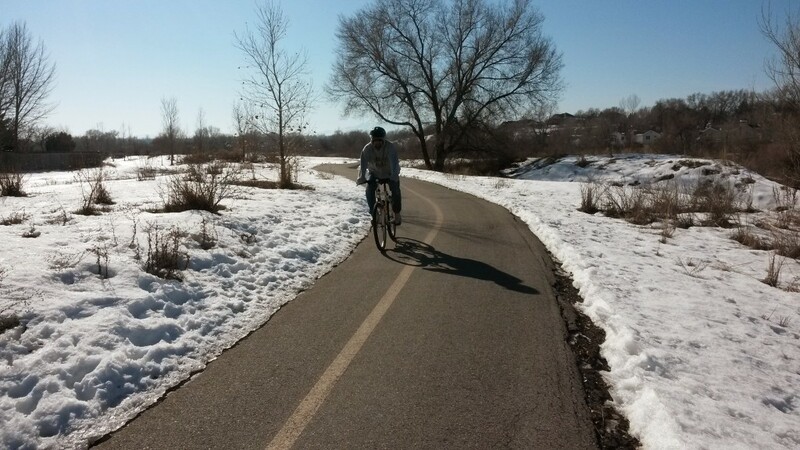 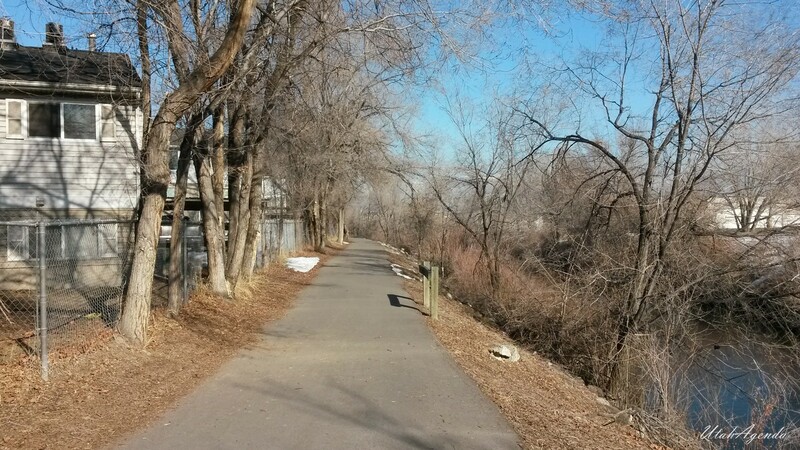 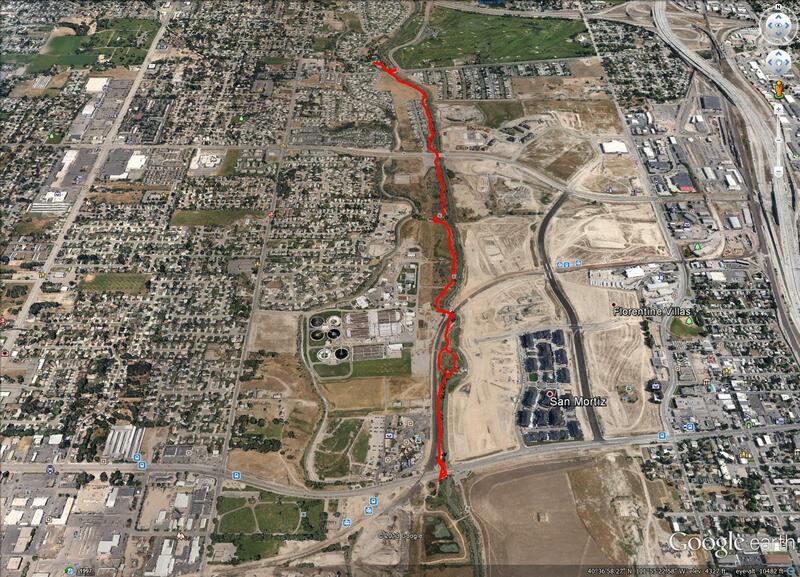 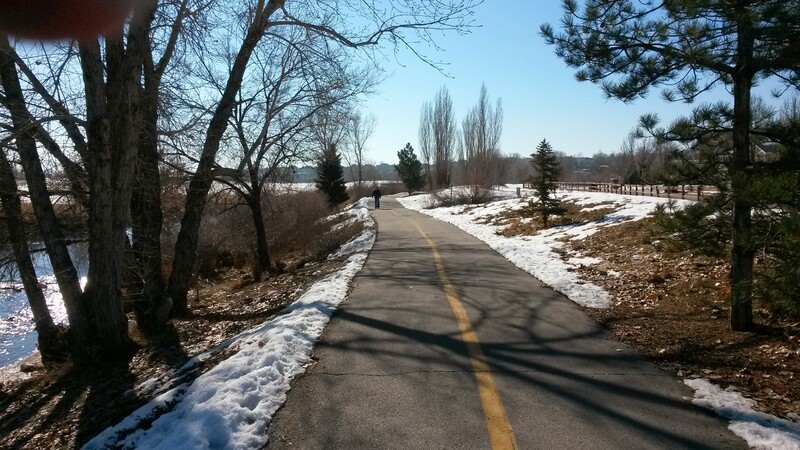 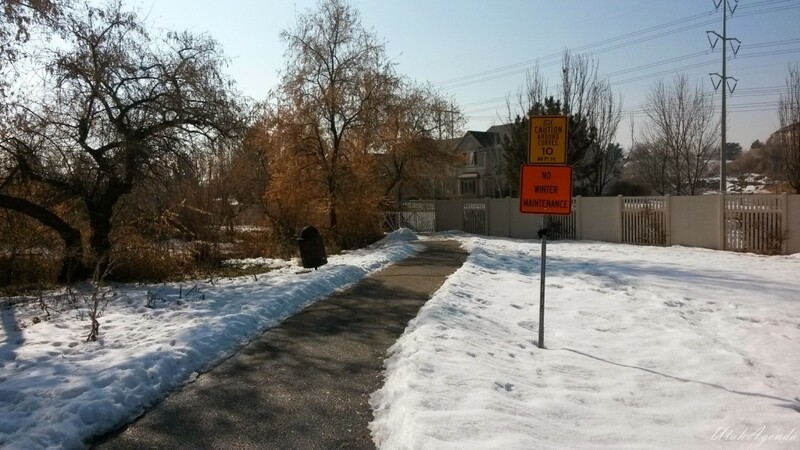 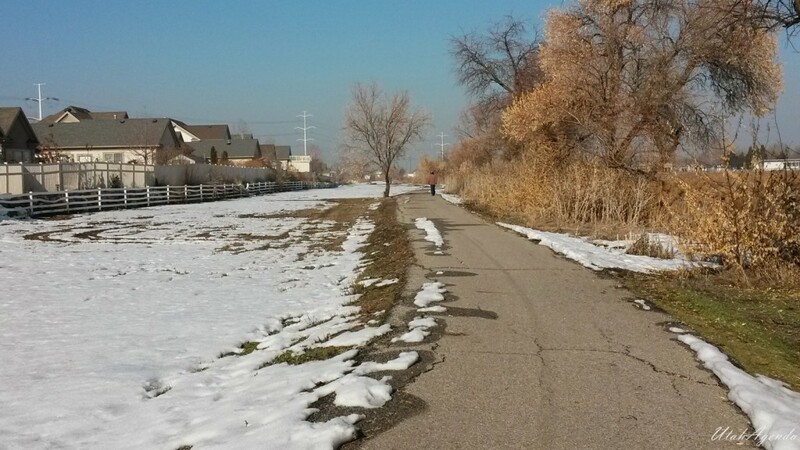 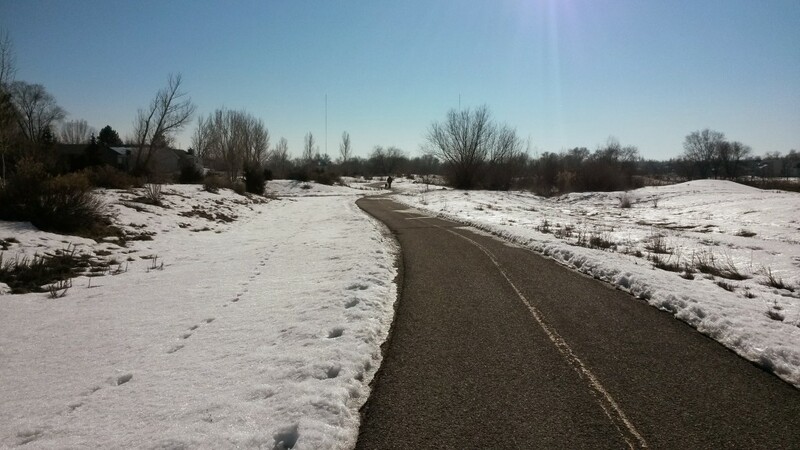 Trail follows along 4500 S before turning into Apartment Complex Area, moving away from the river for awhile. 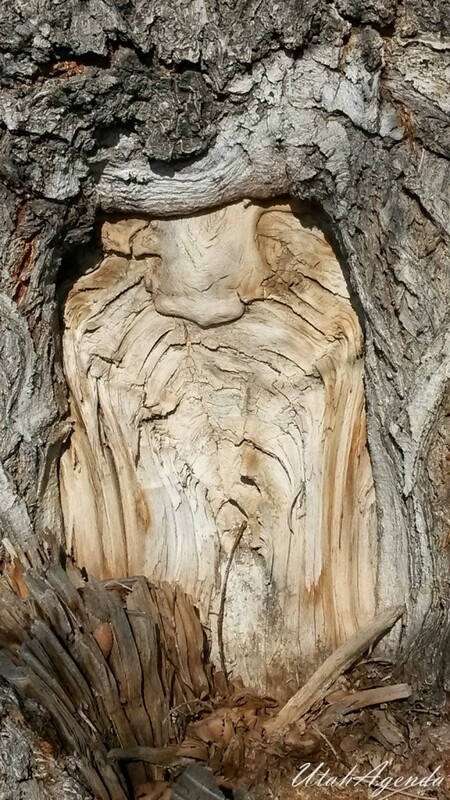 Jesus appearing in a tree?! 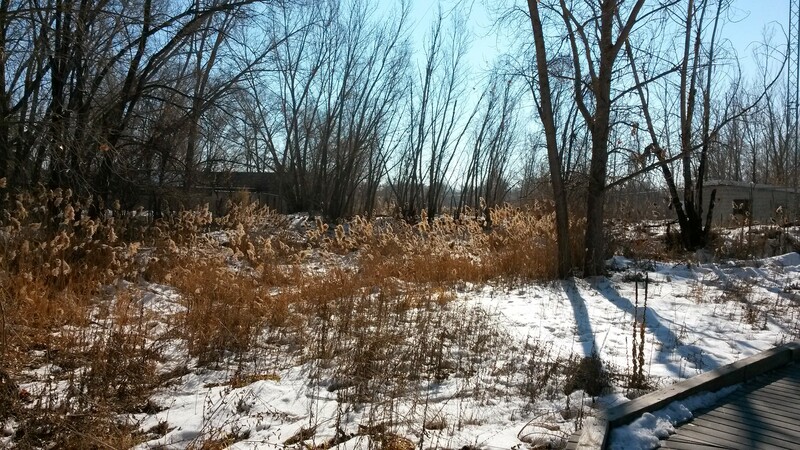 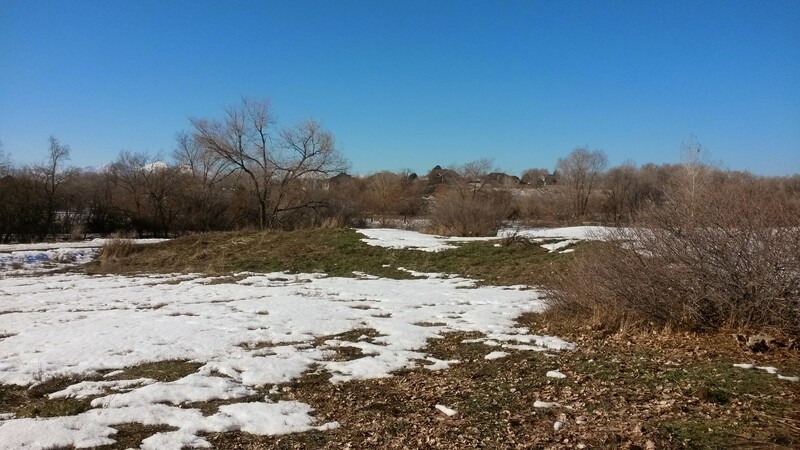 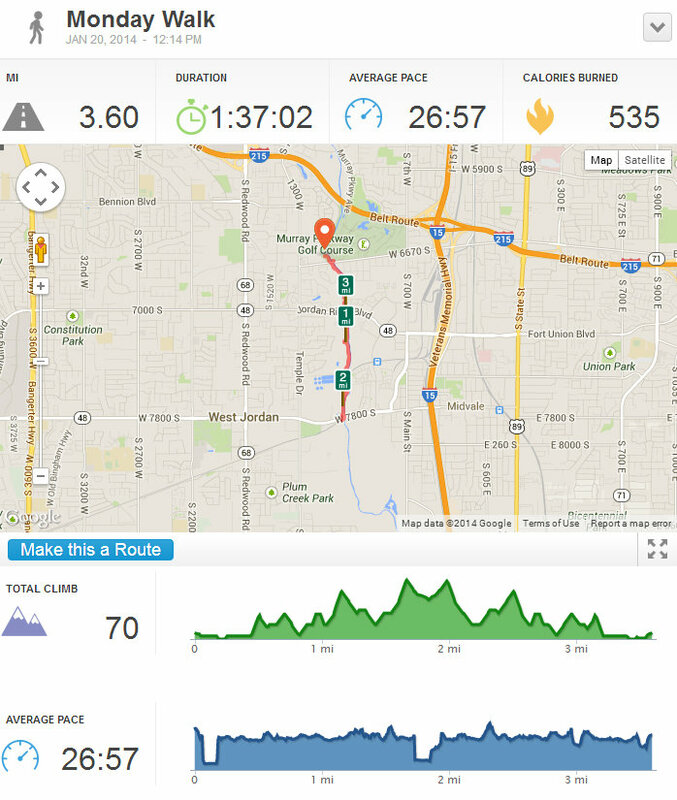 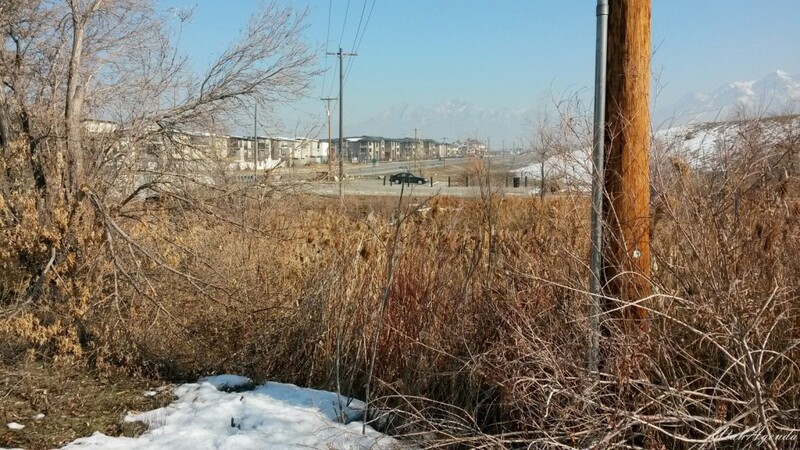 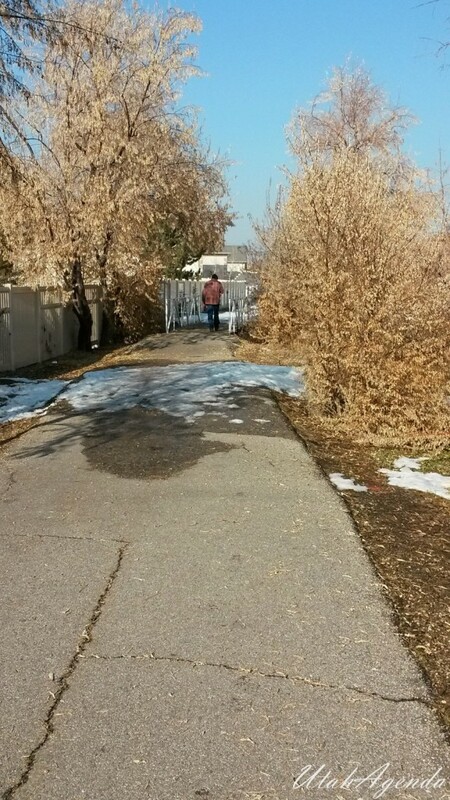 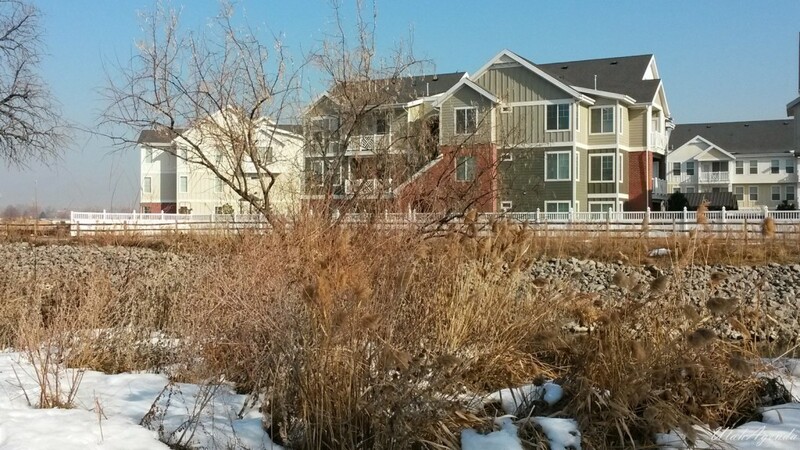 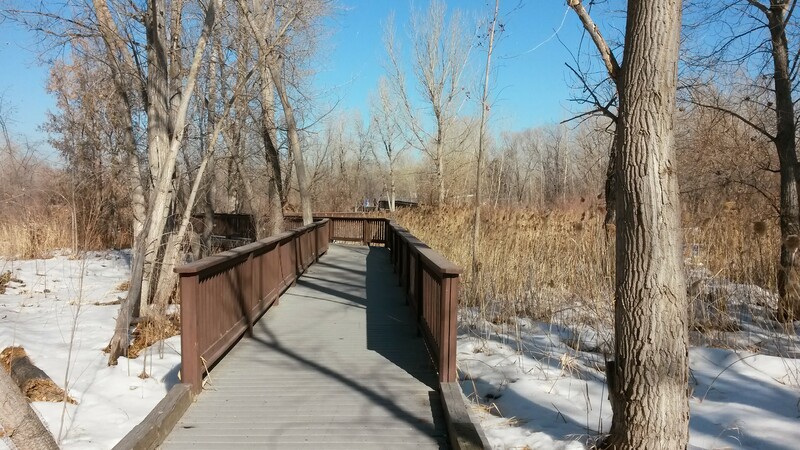 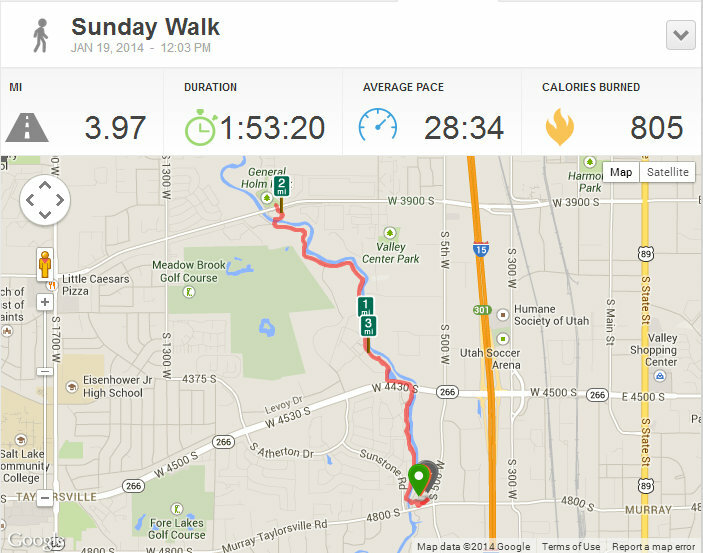 Once out of the apartments you enter South Salt Lake wooded area. 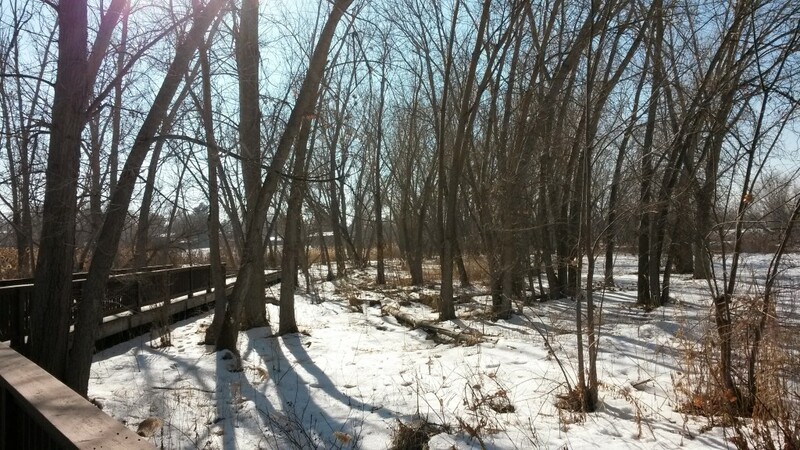 This section is quite nice with some good views of the river. 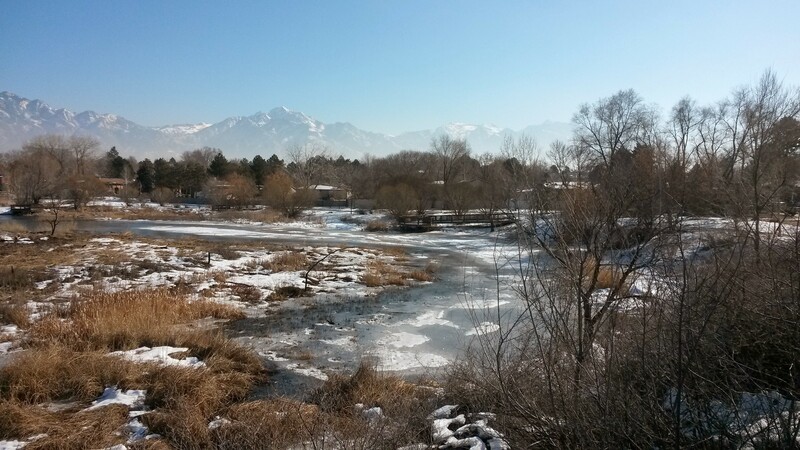 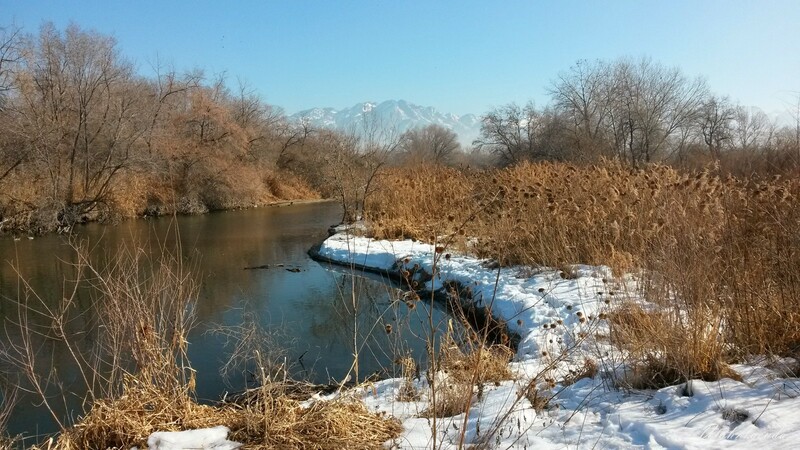 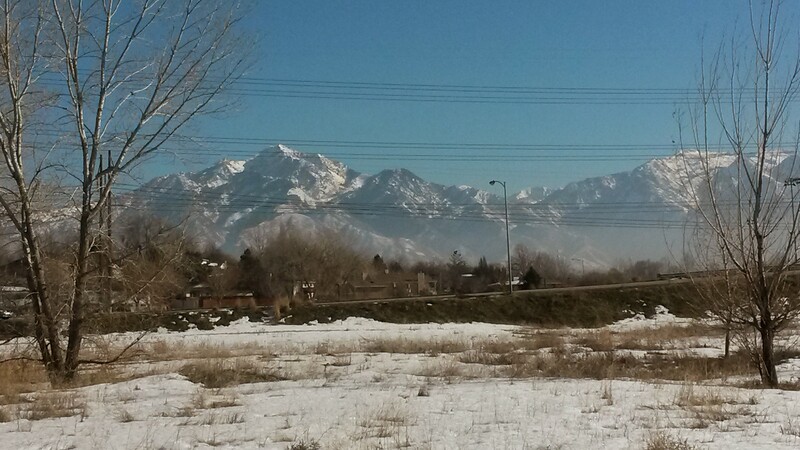 Jordan River with Wasatch Mountains in background. 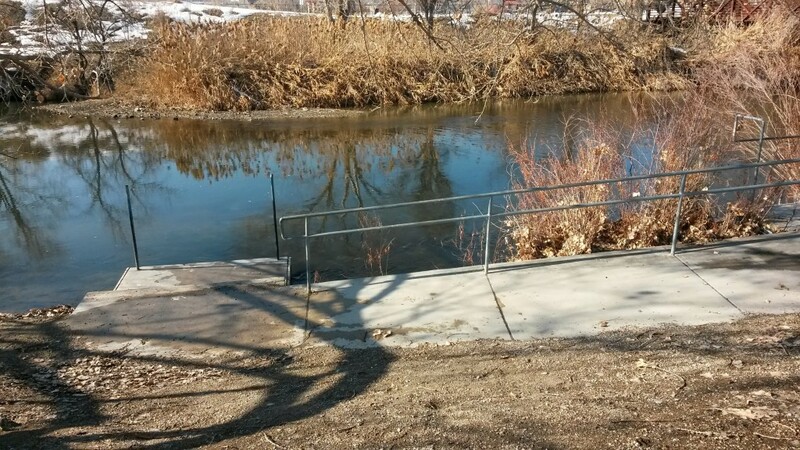 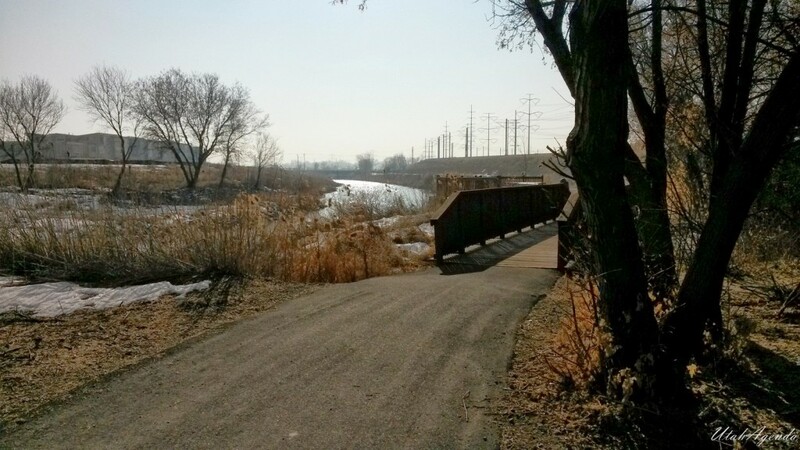 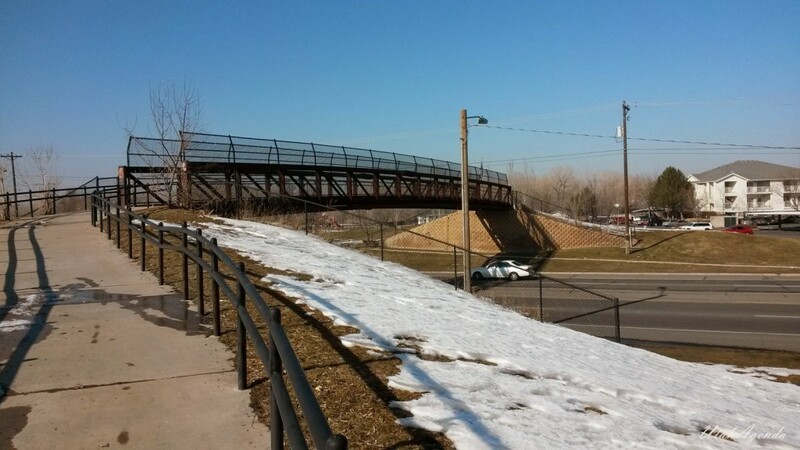 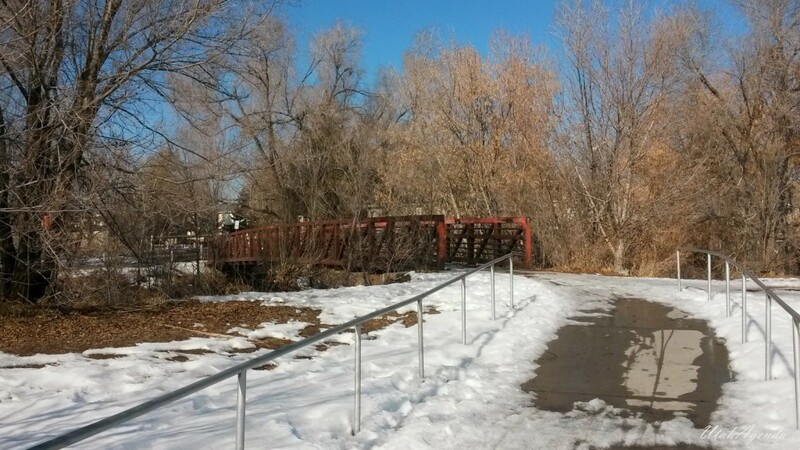 Bridge crosses river to 3900 S Street Bridge. 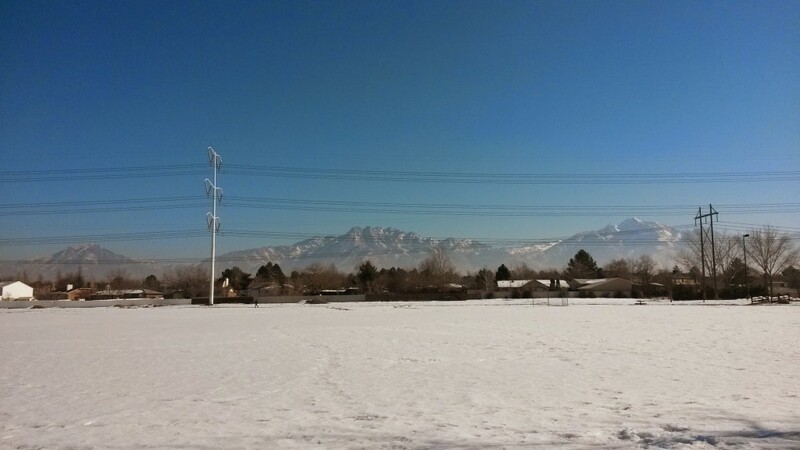 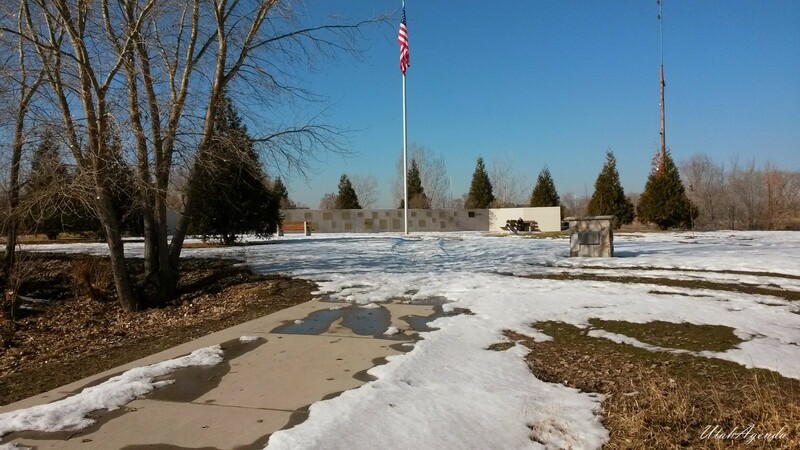 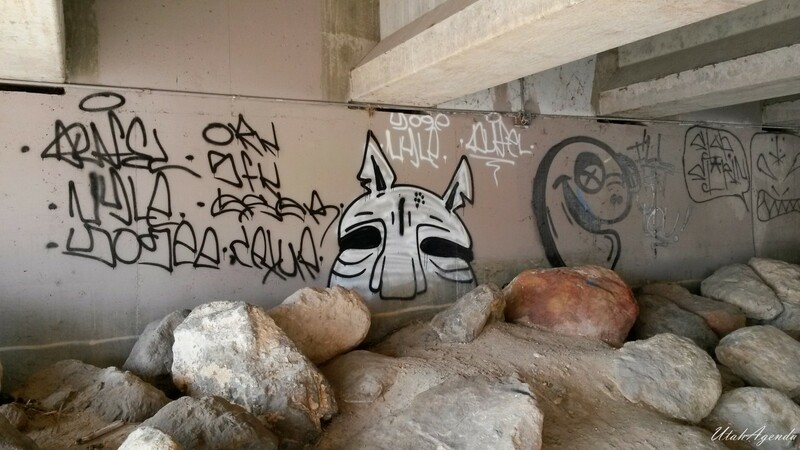 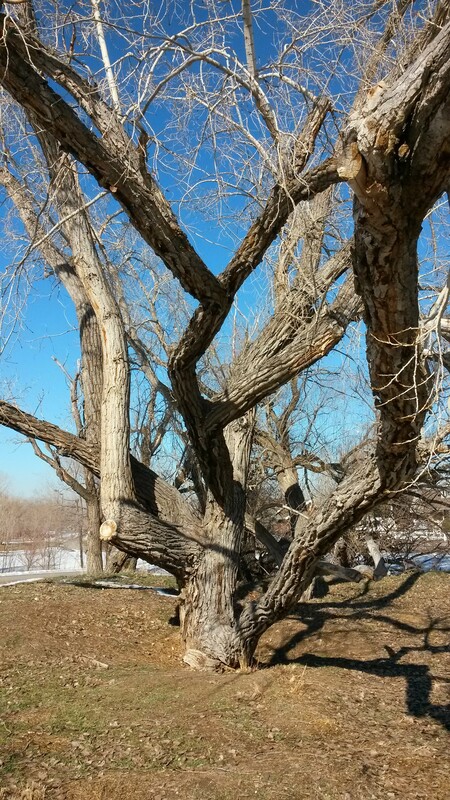 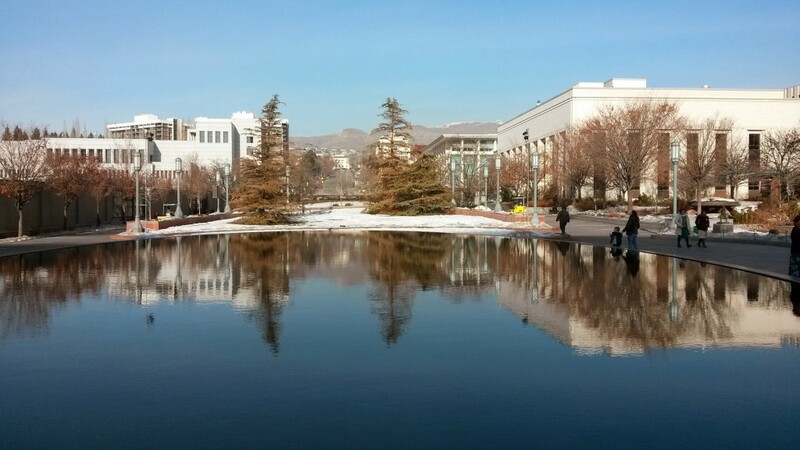 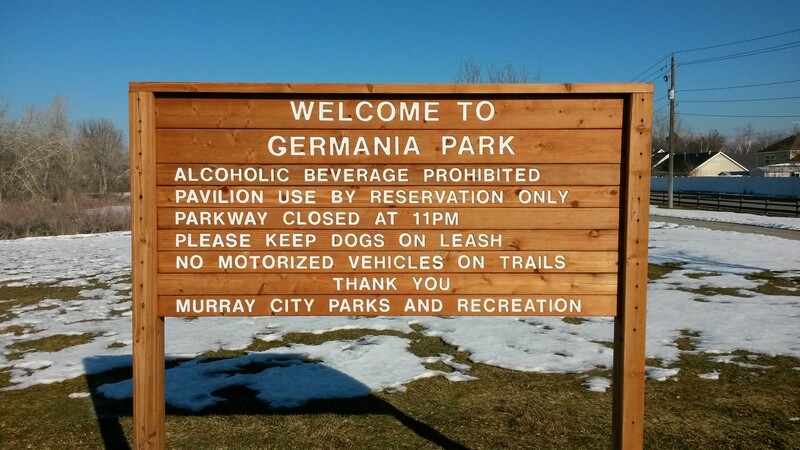 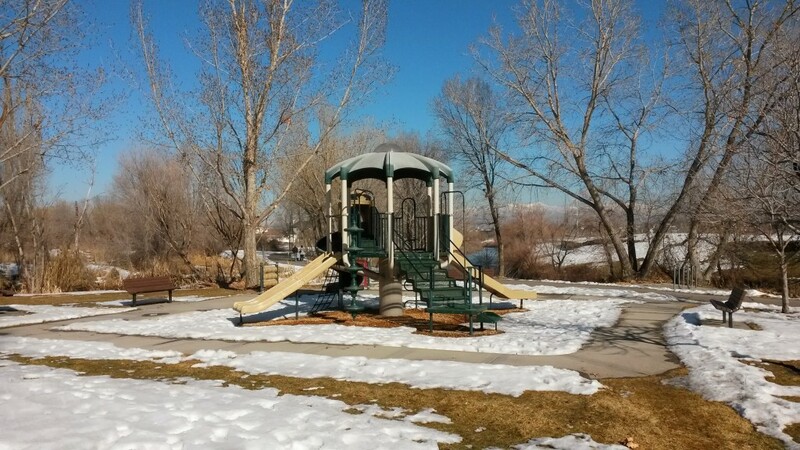 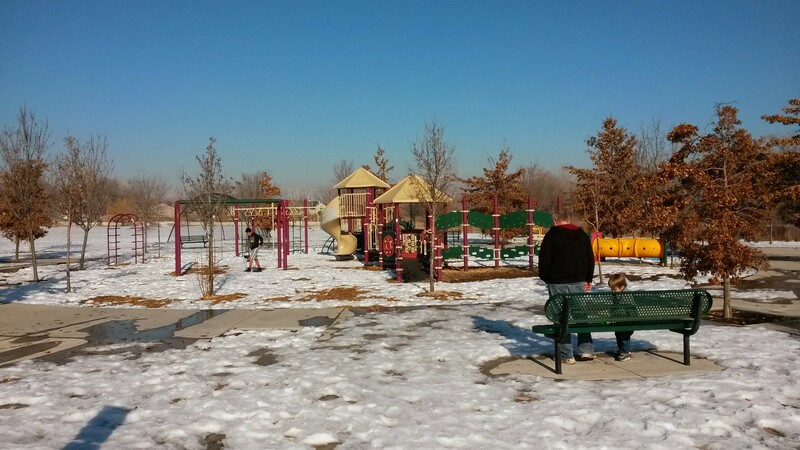 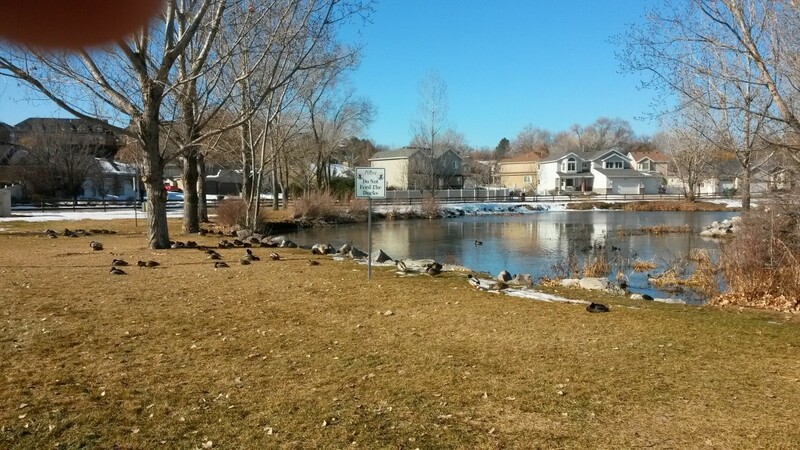 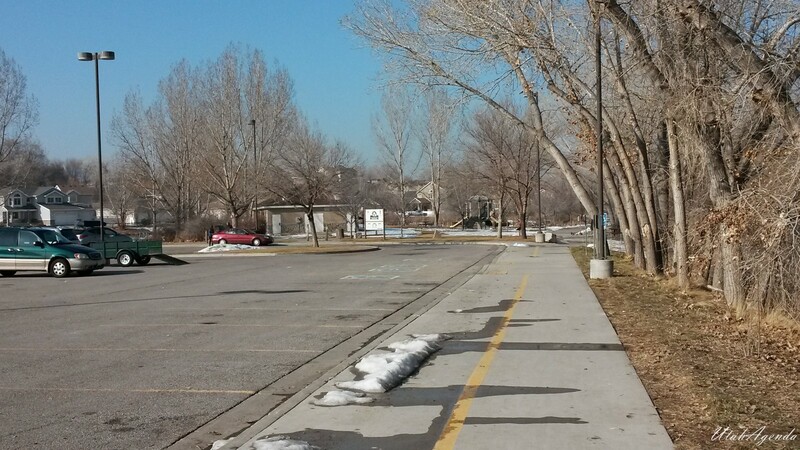 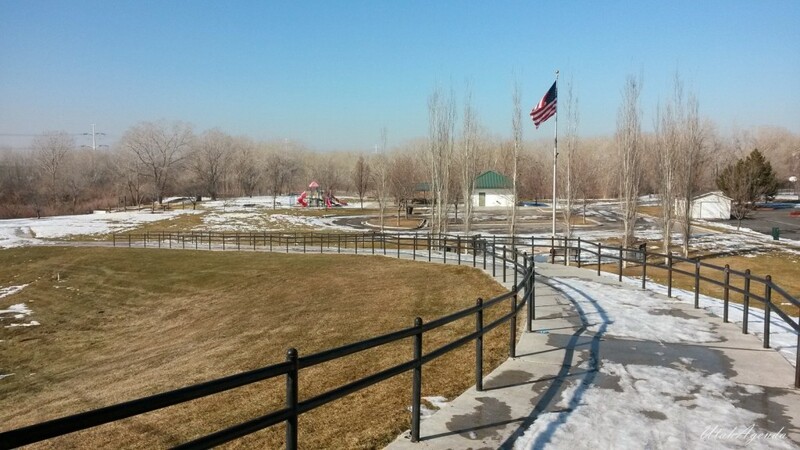 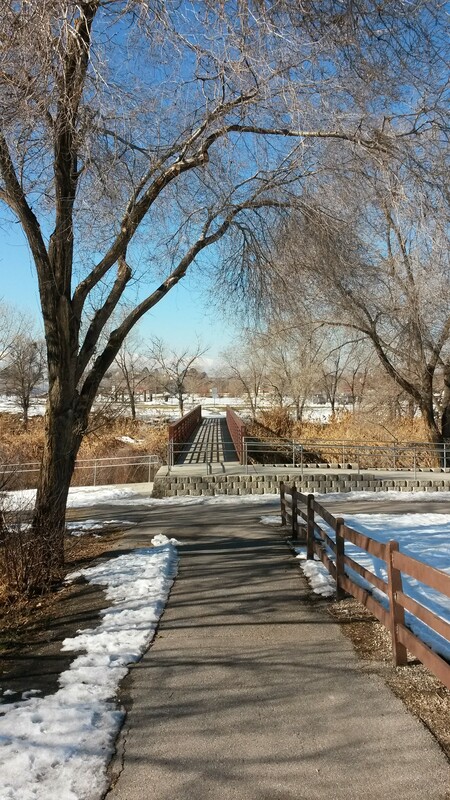 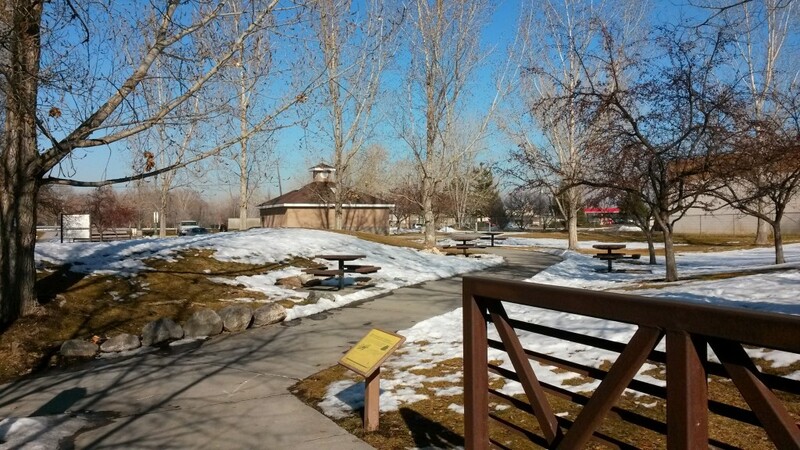 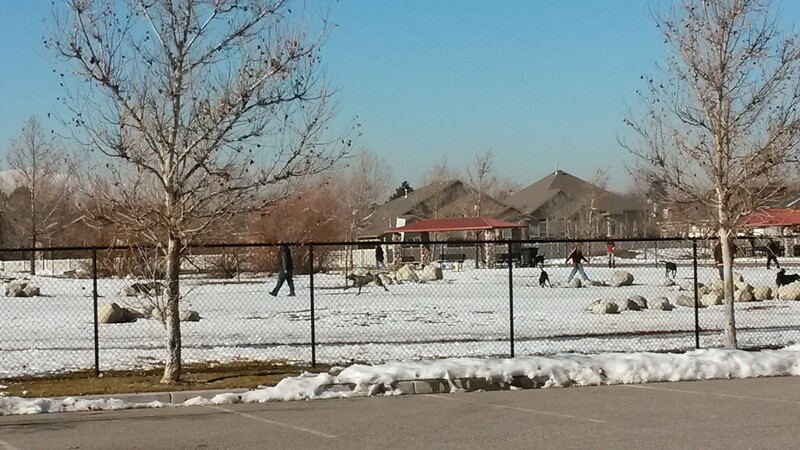 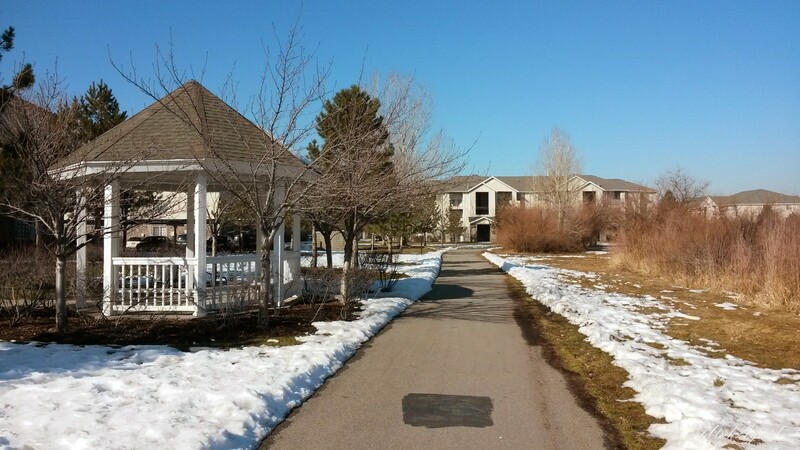 General Holm Park, 3900 South South Salt Lake, Utah. 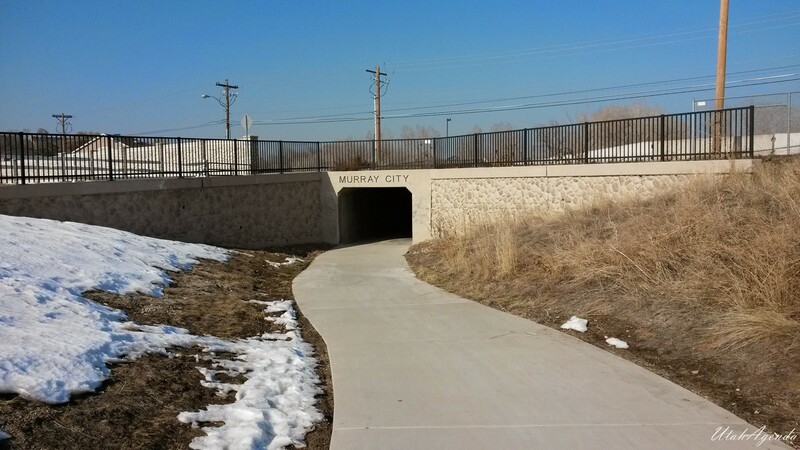 I turn around here and head back. 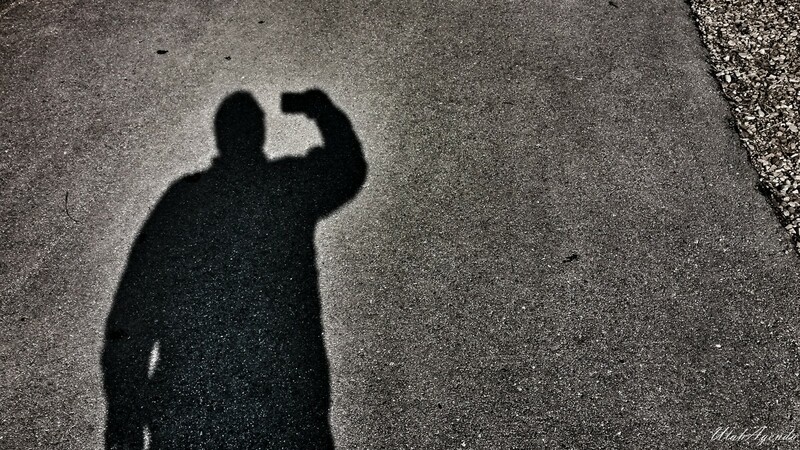 Good-bye til another day.